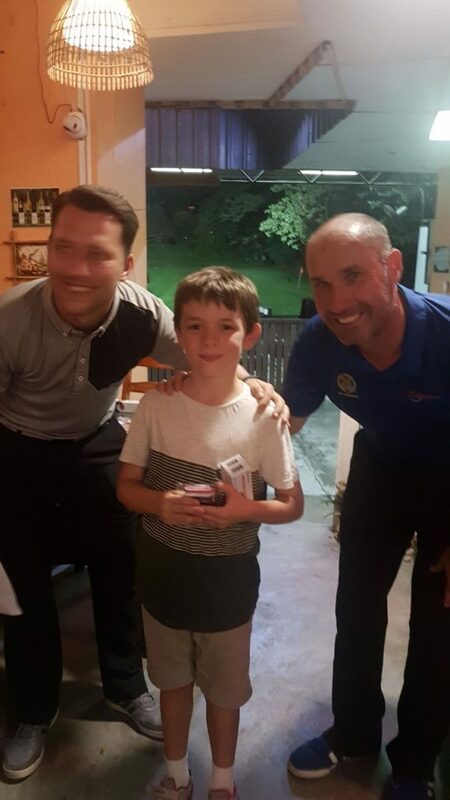 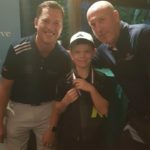 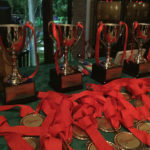 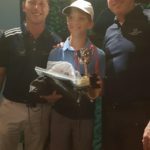 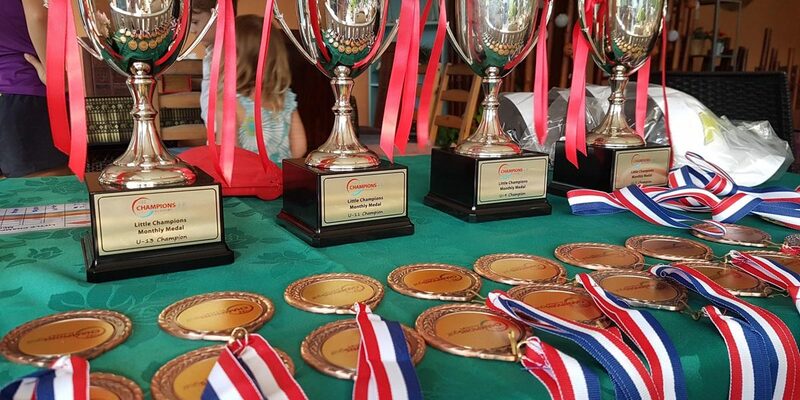 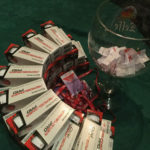 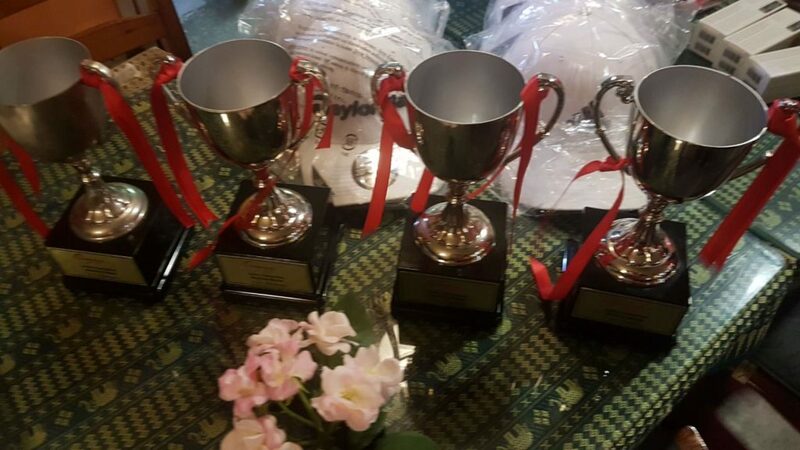 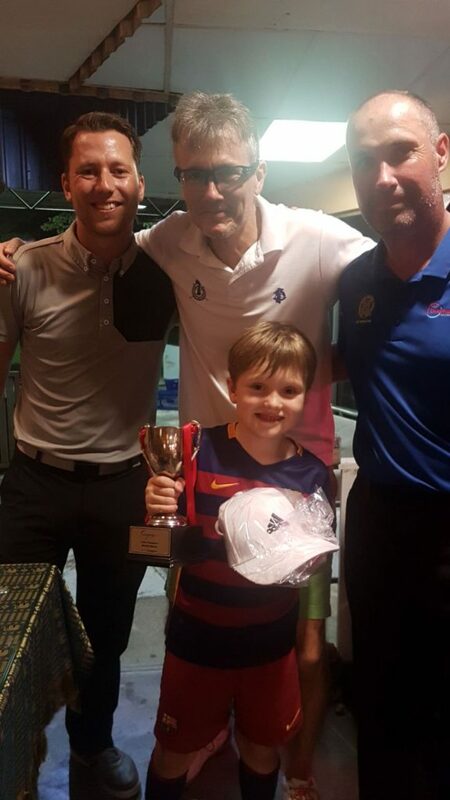 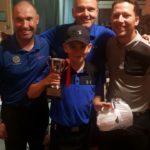 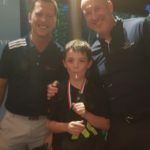 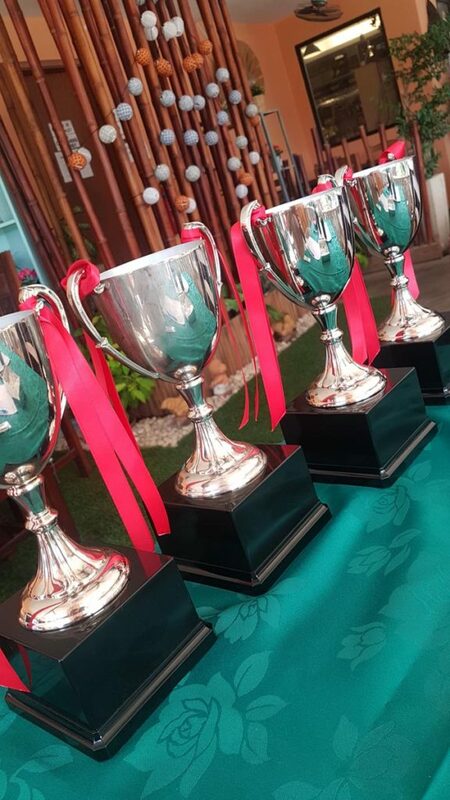 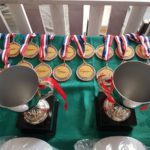 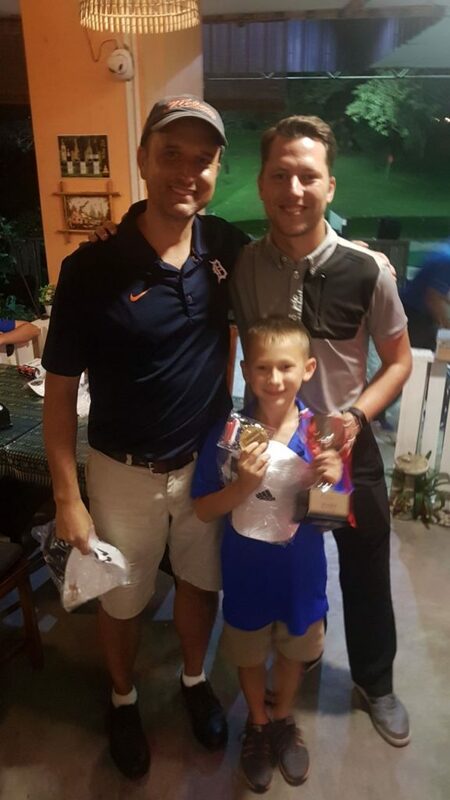 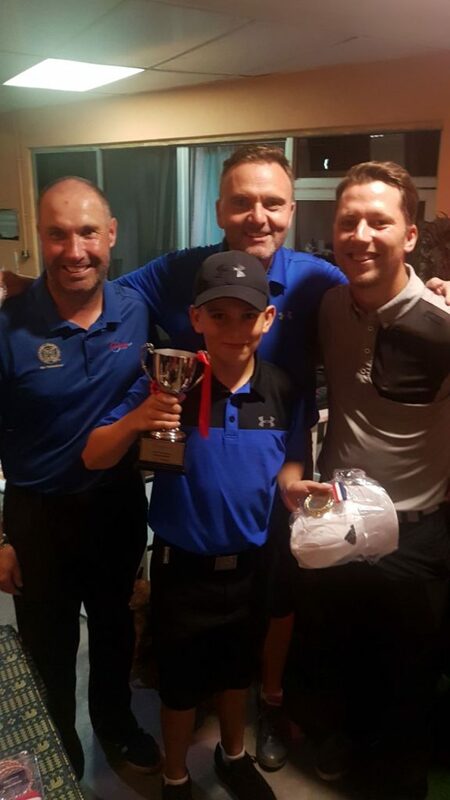 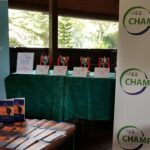 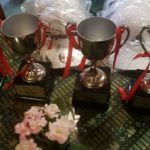 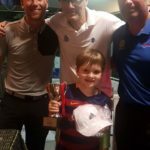 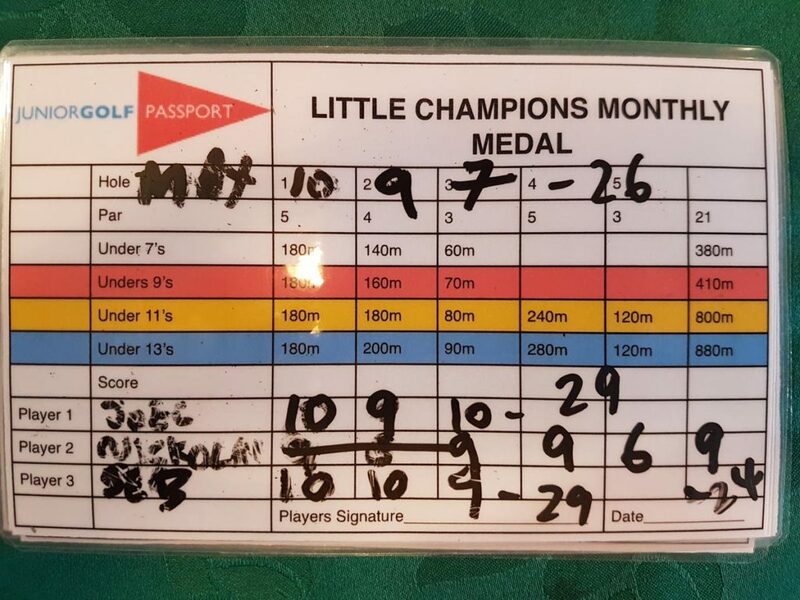 The Champions Golf team would like to congratulate all the prize winners and competitors who took part in the “Little Champions Monthly Medal” . 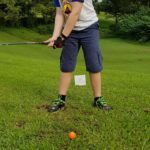 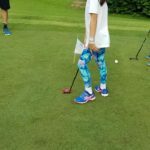 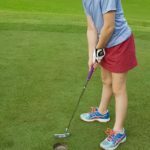 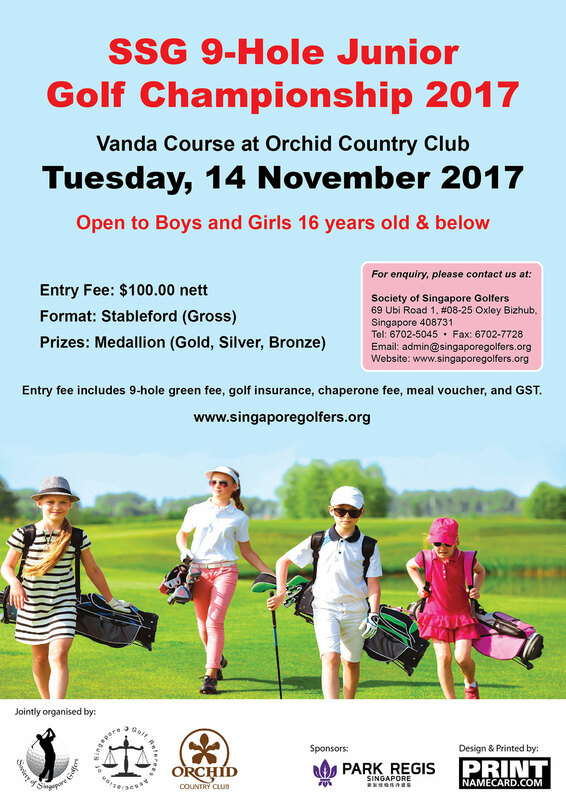 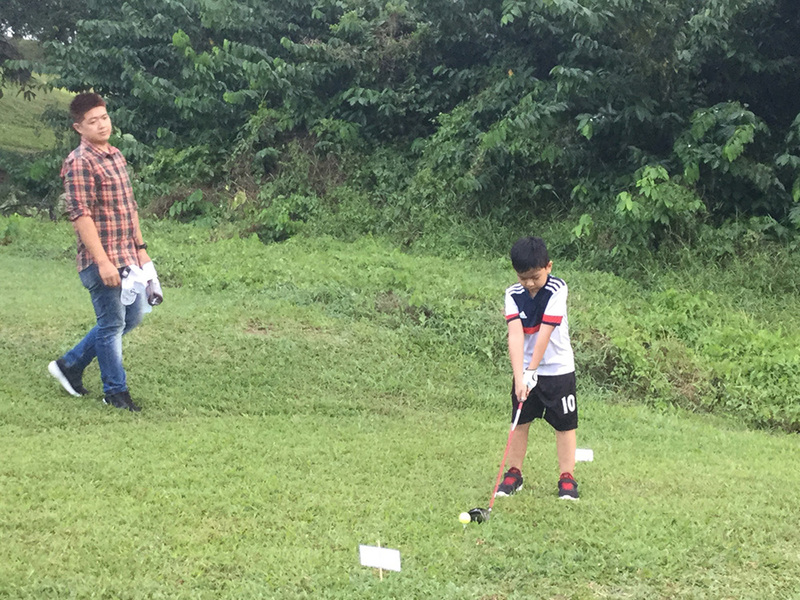 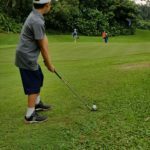 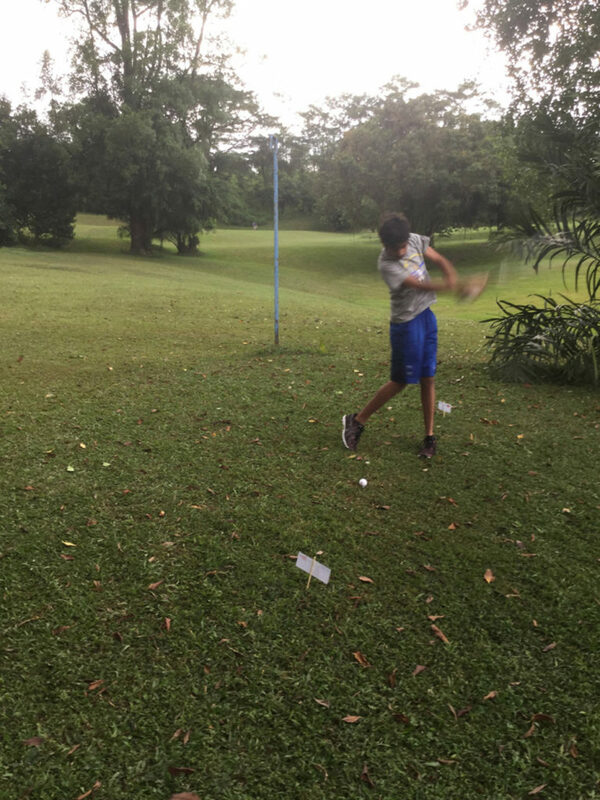 The SSG 9-Hole Junior Golf Championship 2017 will be held at Vanda Course of Orchid Country Club on Monday, 13 November 2017. 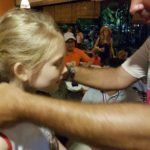 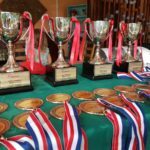 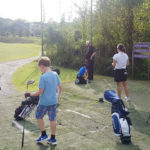 The primary purpose of this event is to provide boys and girls aged 16 years and below an opportunity to advance their skills in the game in age-appropriate competition. 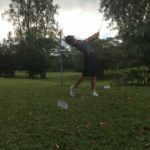 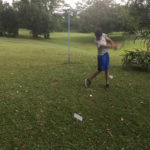 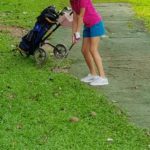 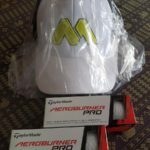 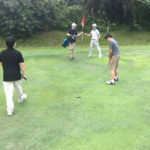 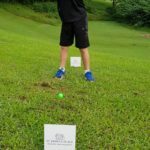 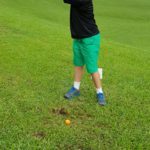 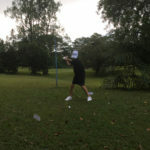 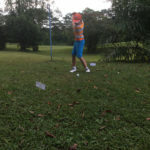 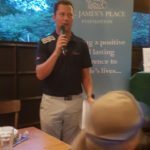 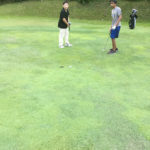 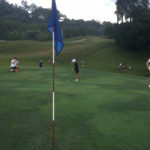 The competition will be based on Stableford format whereby players will try to earn as many points as possible throughout the round. 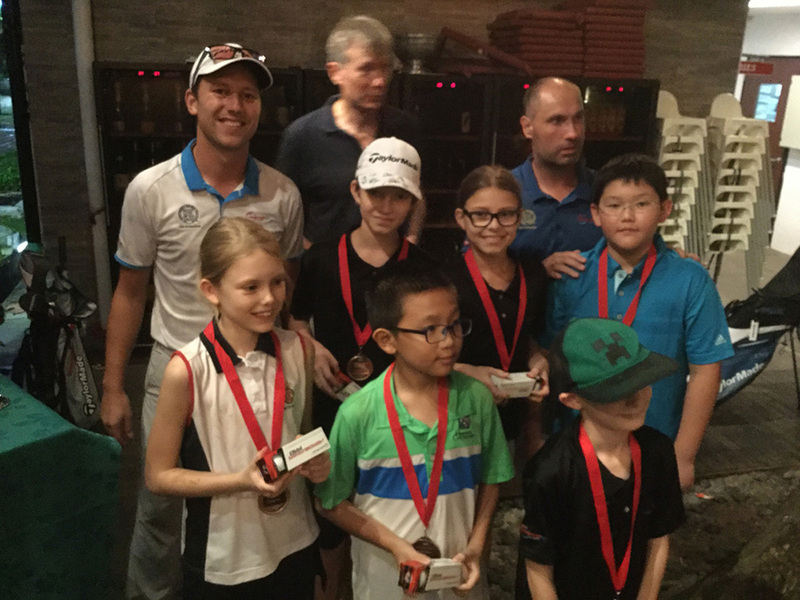 At the end of the round, they will be awarded with a Medallion based on their aggregate points. 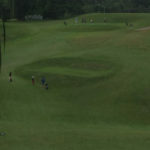 Entry is based on first-come-first-served. 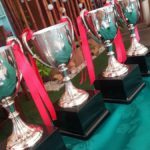 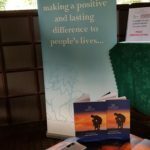 Closing date is 23 October 2017 at 12.00 pm. 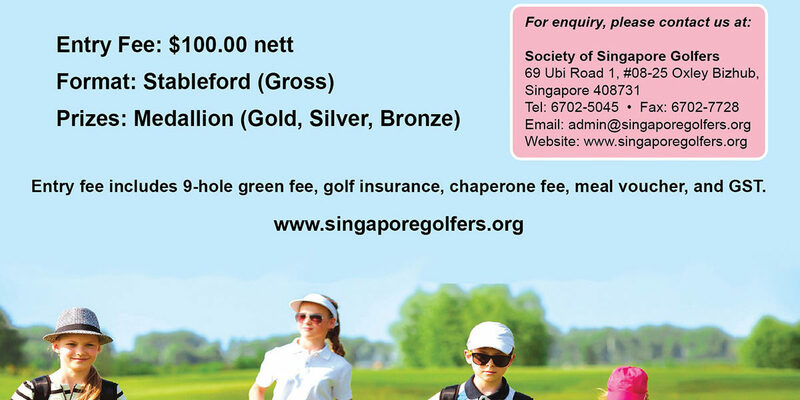 If you have any clarification or assisatnce, please do not hesitate to contact us at [email protected] Alternatively, you may visit our website for more details or online registration. 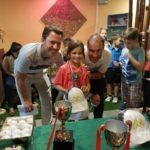 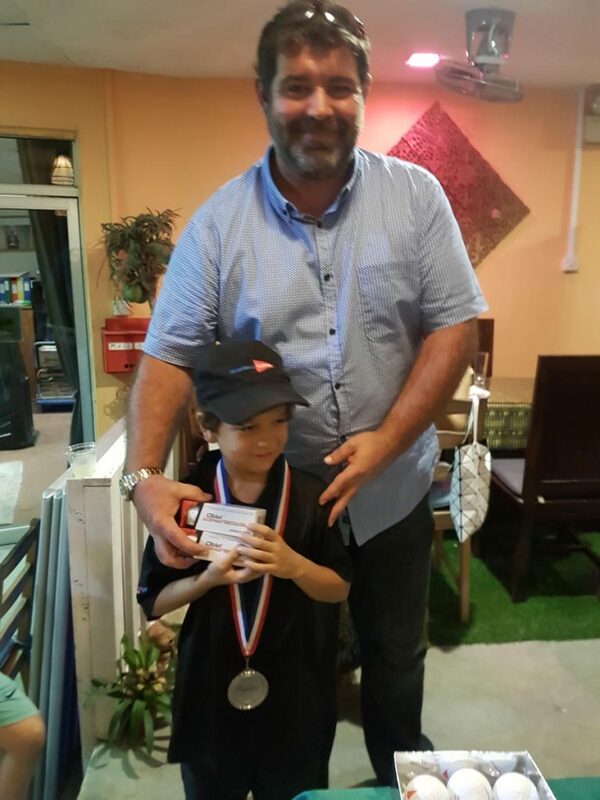 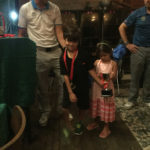 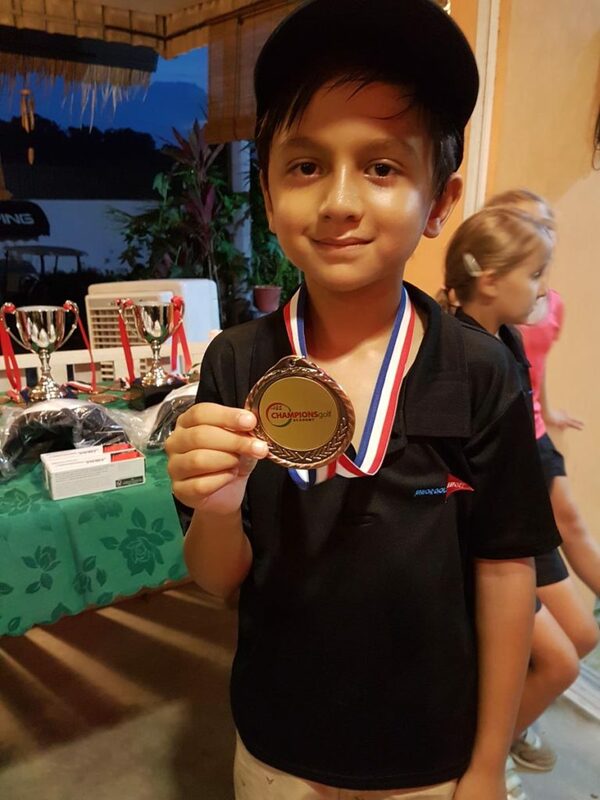 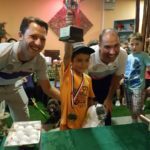 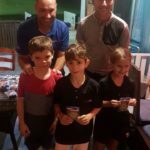 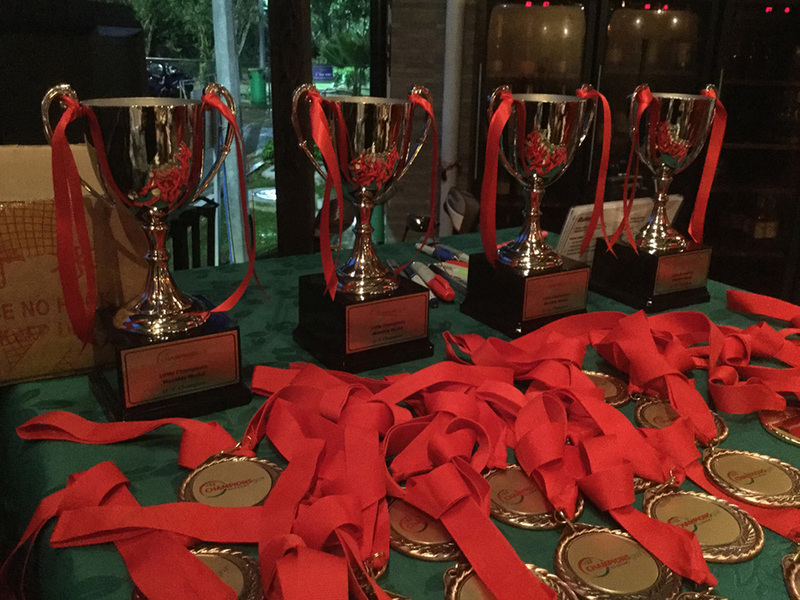 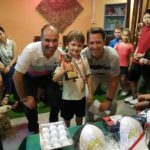 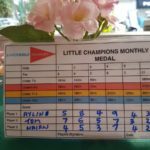 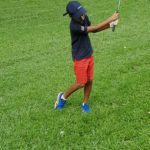 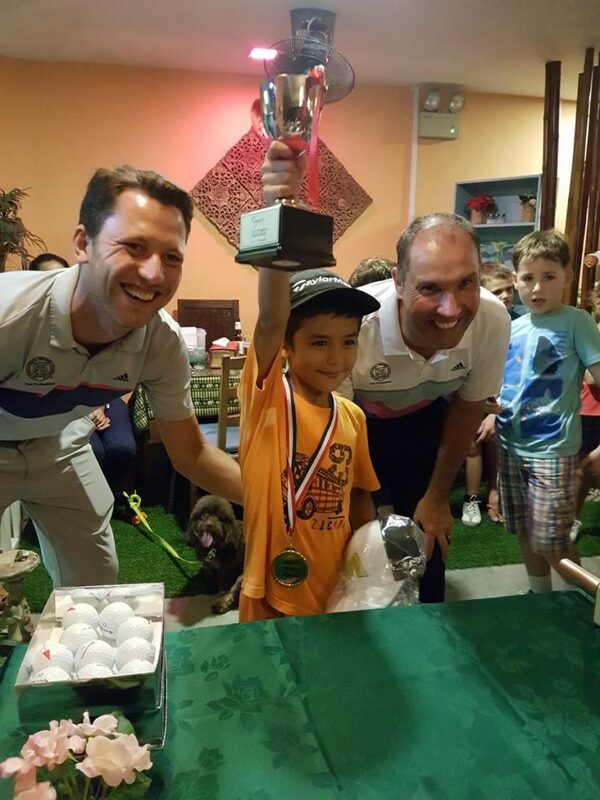 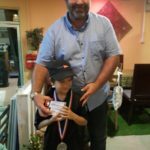 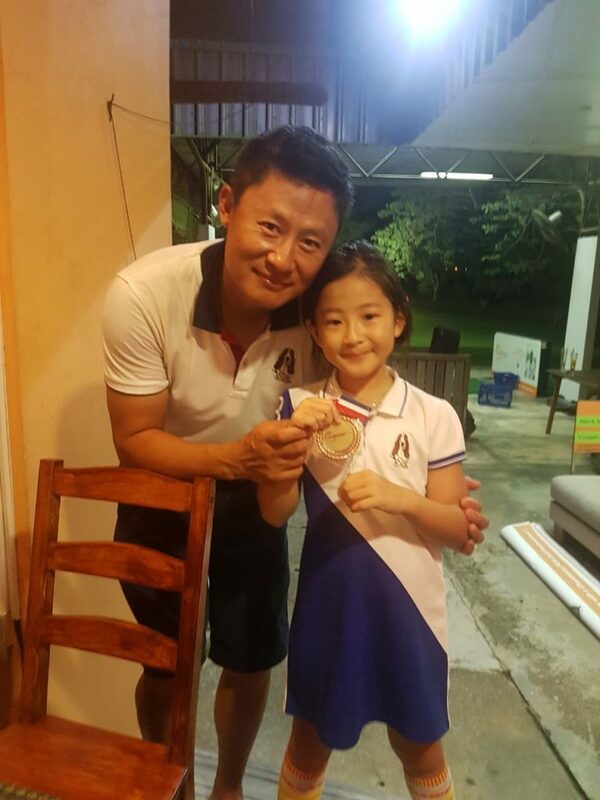 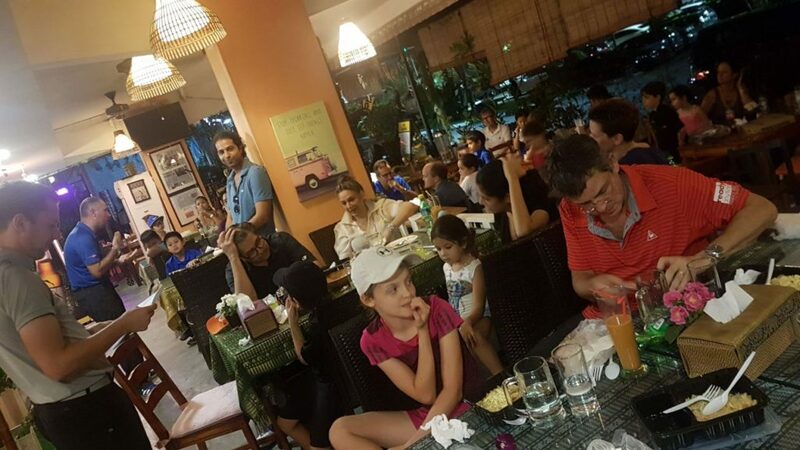 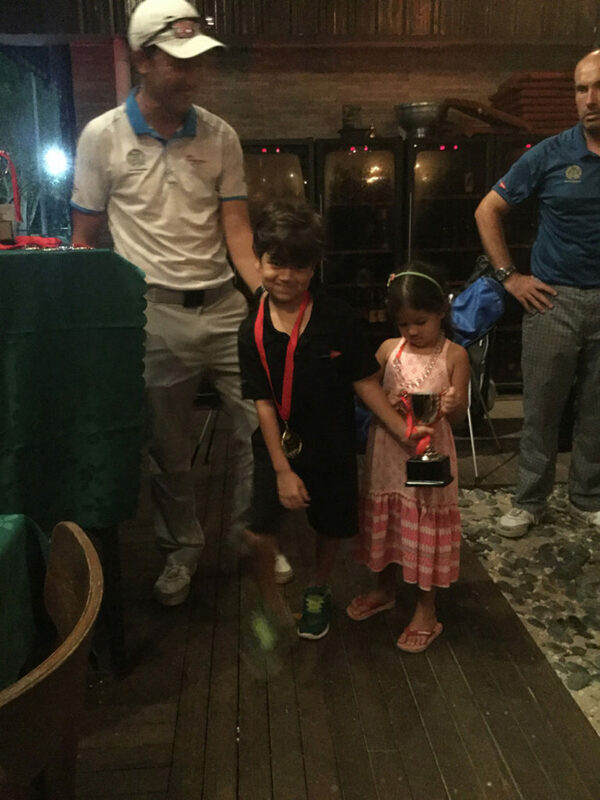 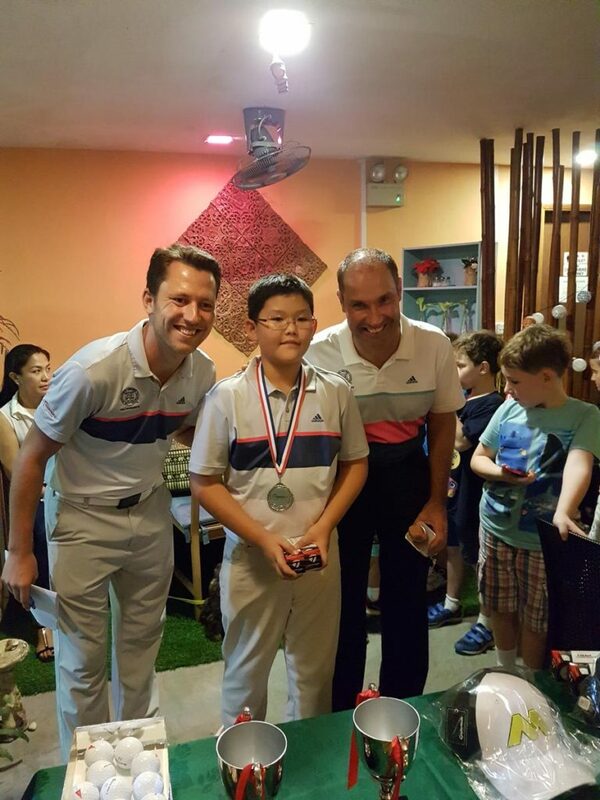 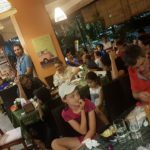 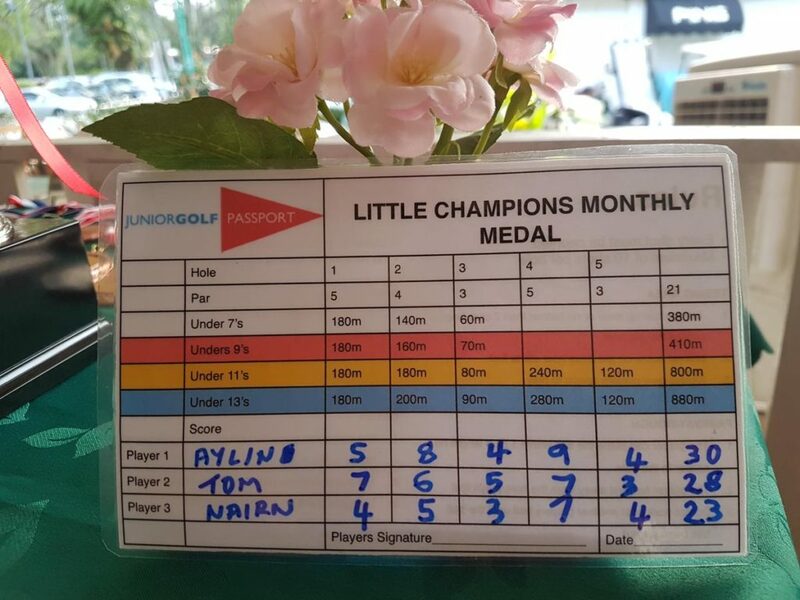 The Champions Golf team would like to congratulate all the prize winners and competitors who took part in the third “Little Champions Monthly Medal” . 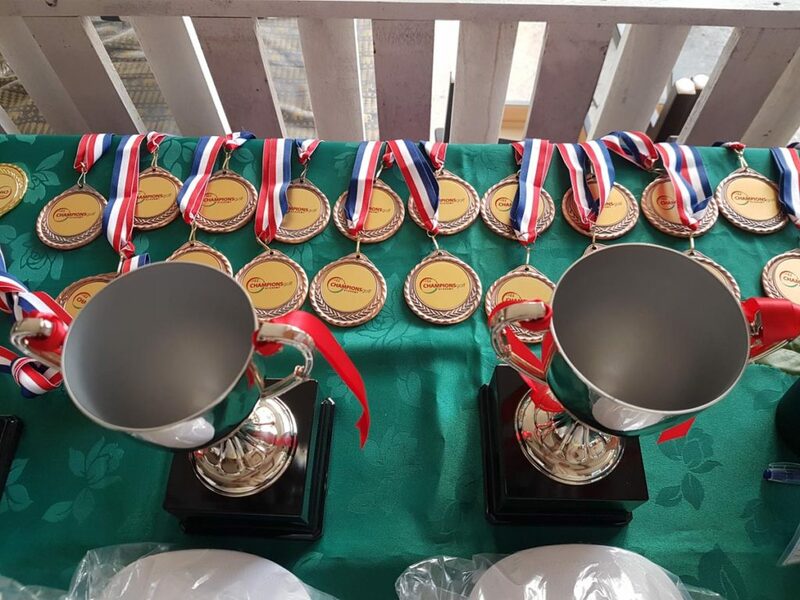 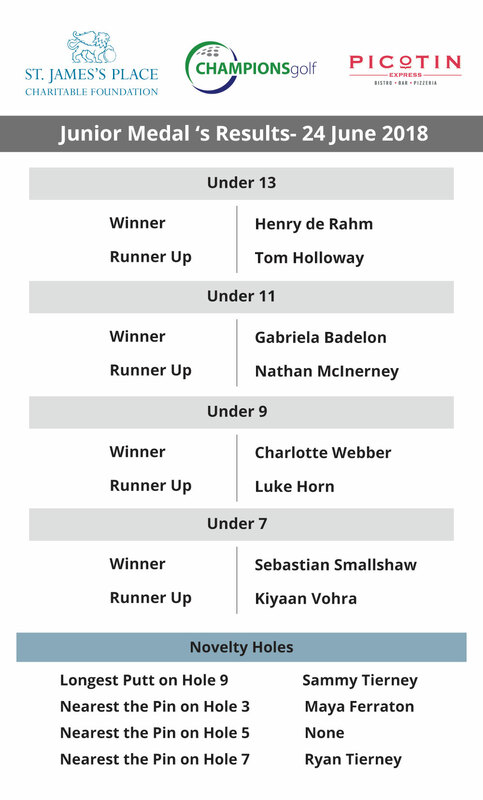 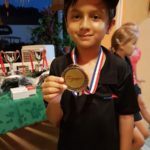 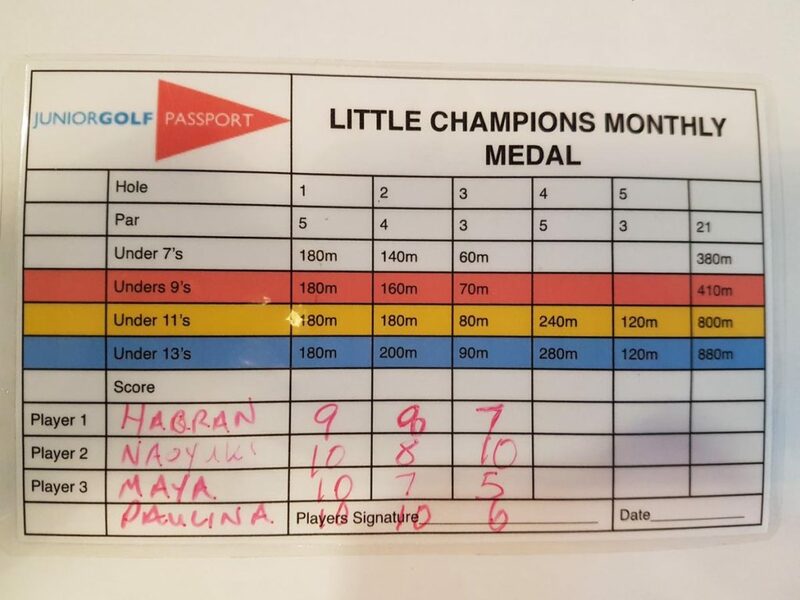 The Champions Golf team would like to congratulate all the prize winners and competitors who took part in the second “Little Champions Monthly Medal” . 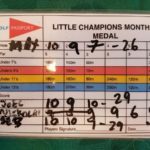 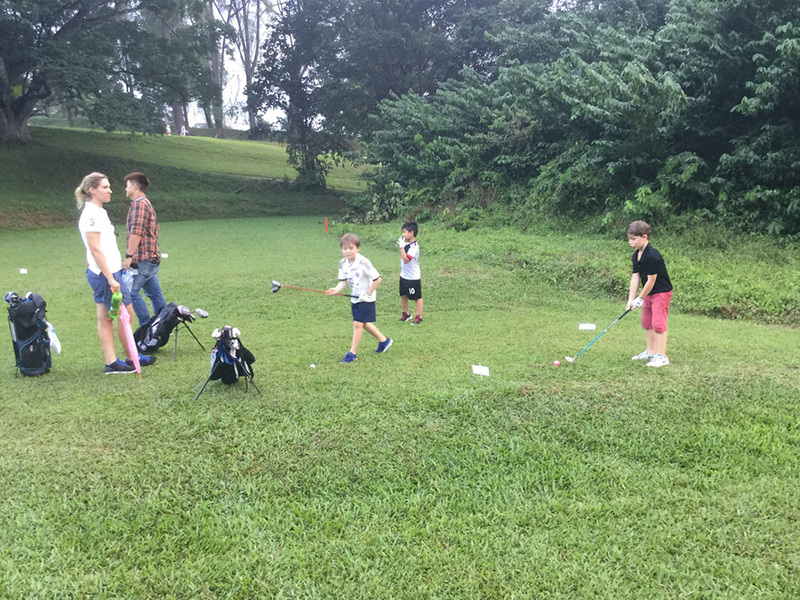 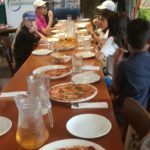 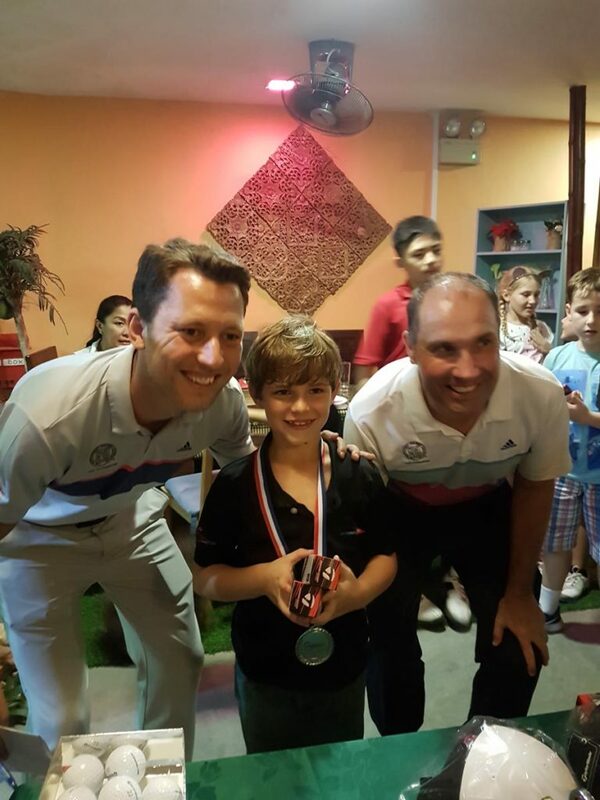 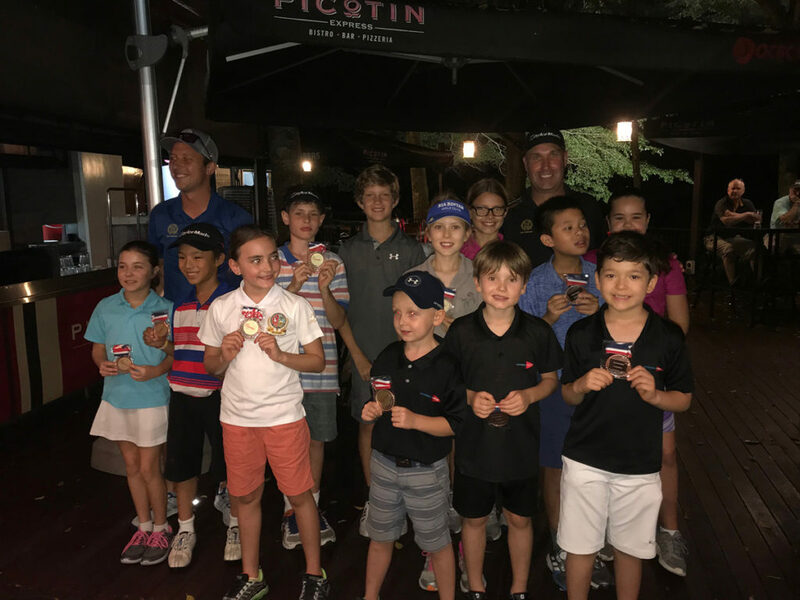 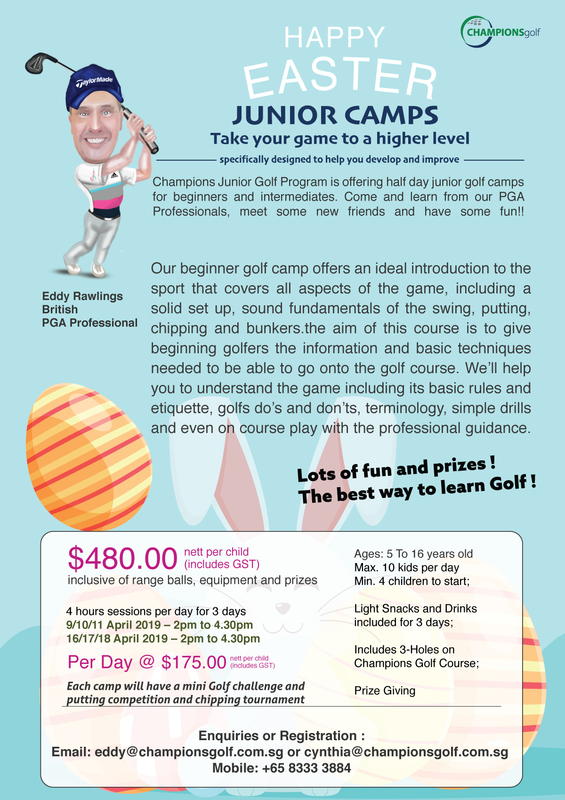 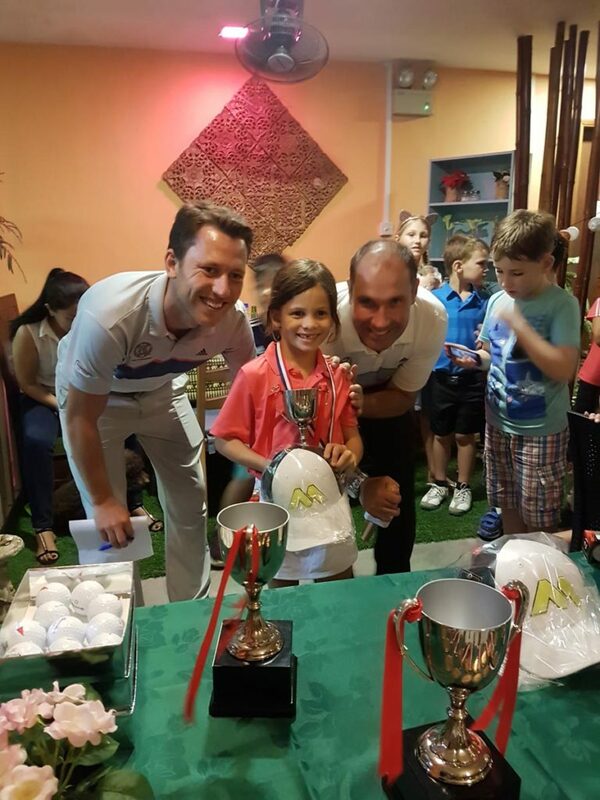 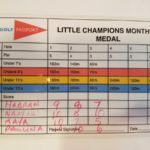 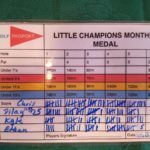 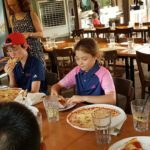 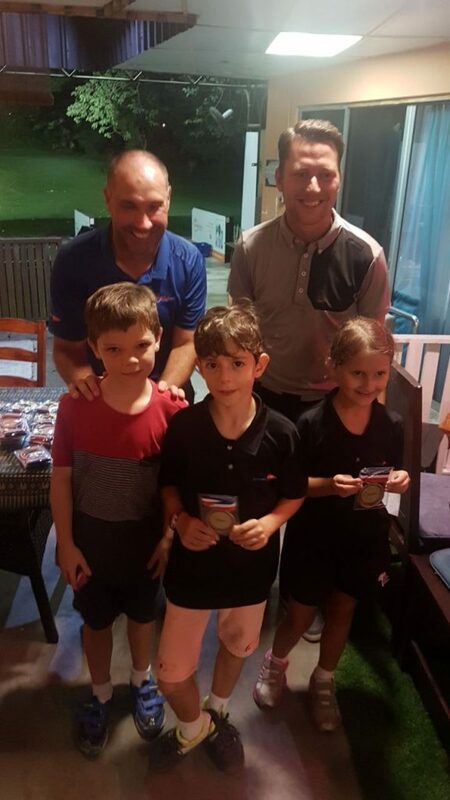 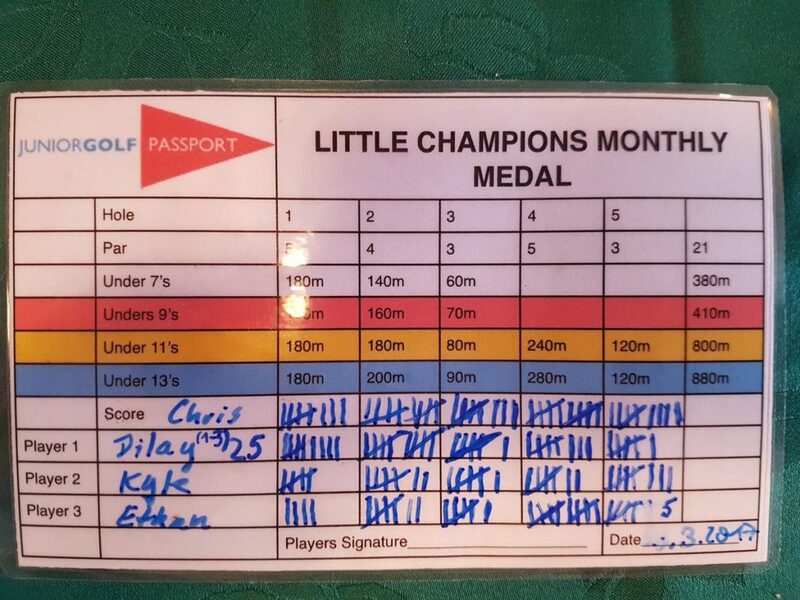 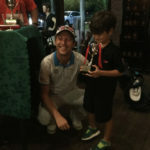 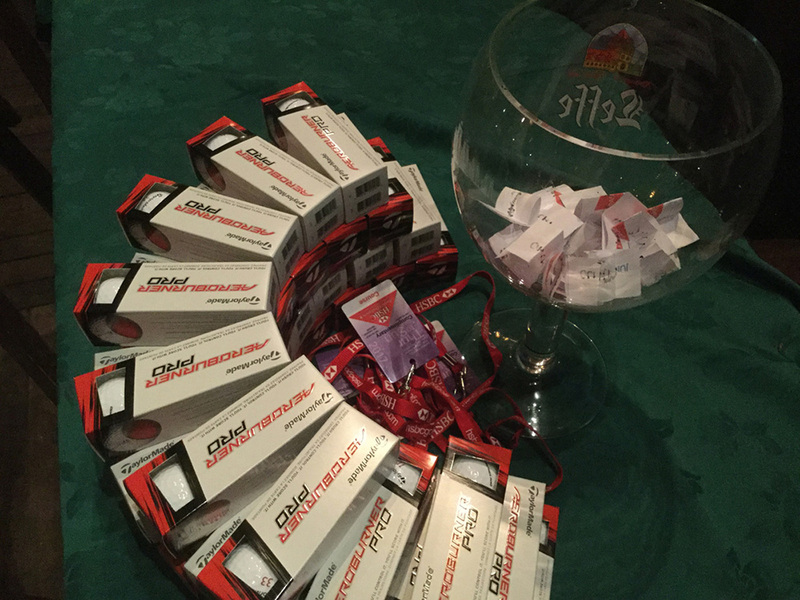 The Champions Golf team would like to congratulate all the prize winners and competitors who took part in the first “Little Champions Monthly Medal” . 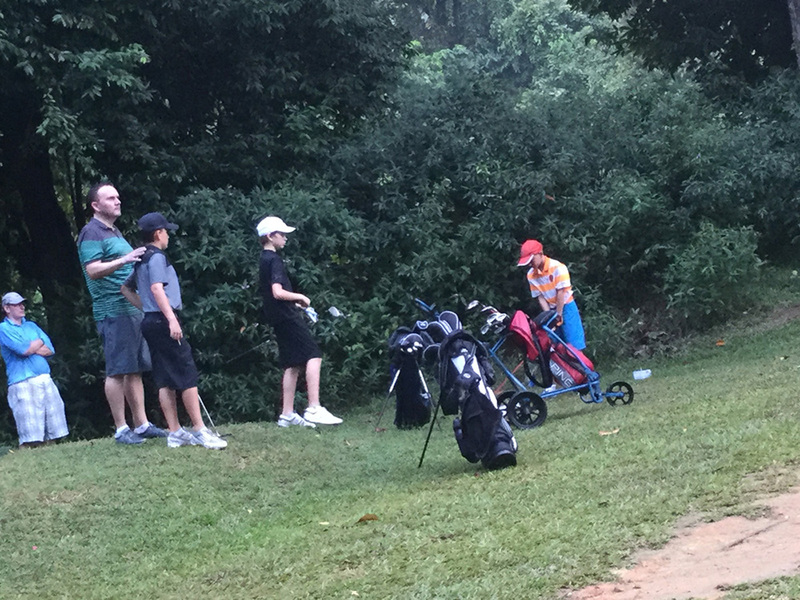 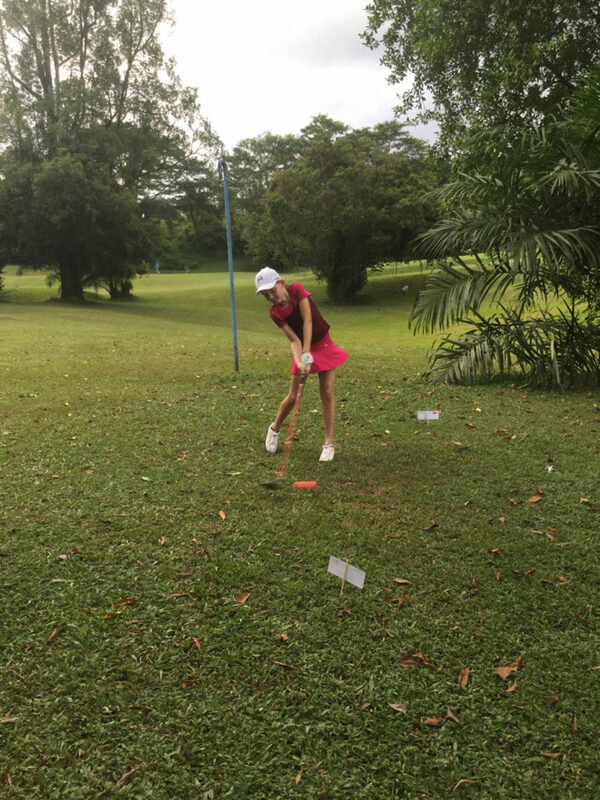 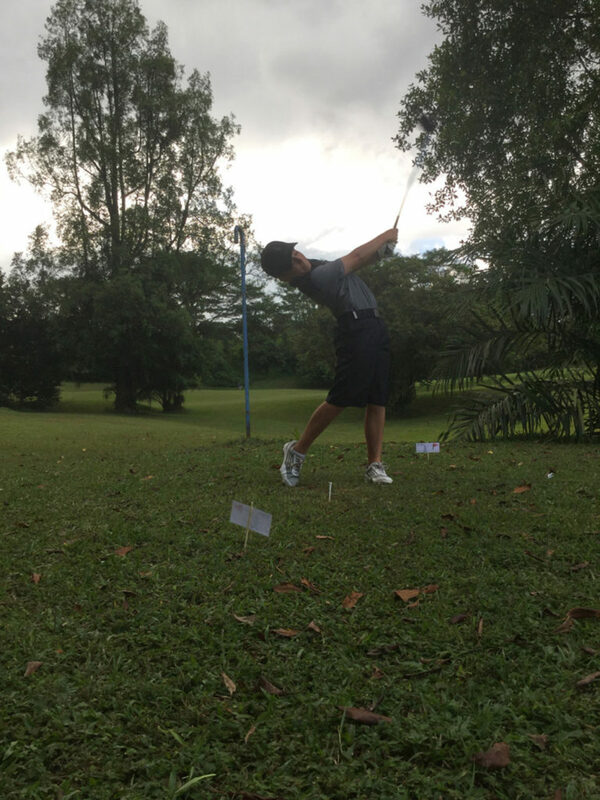 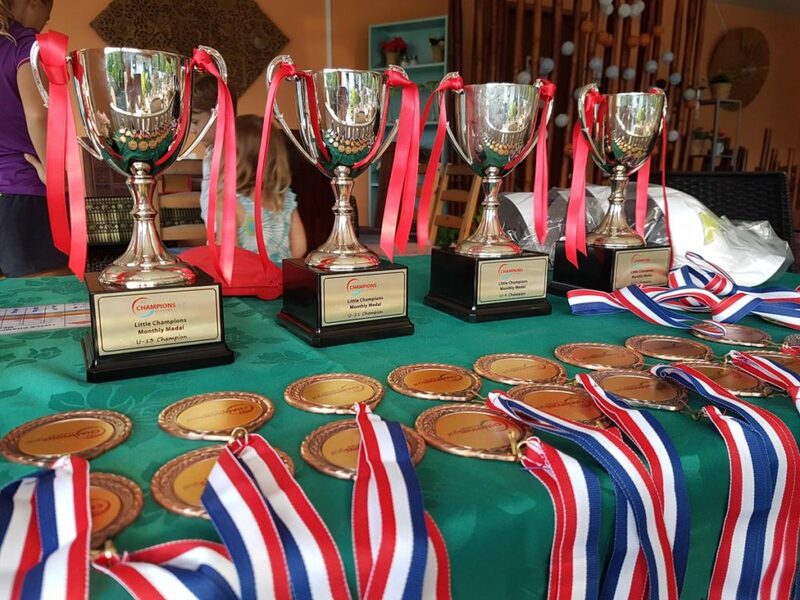 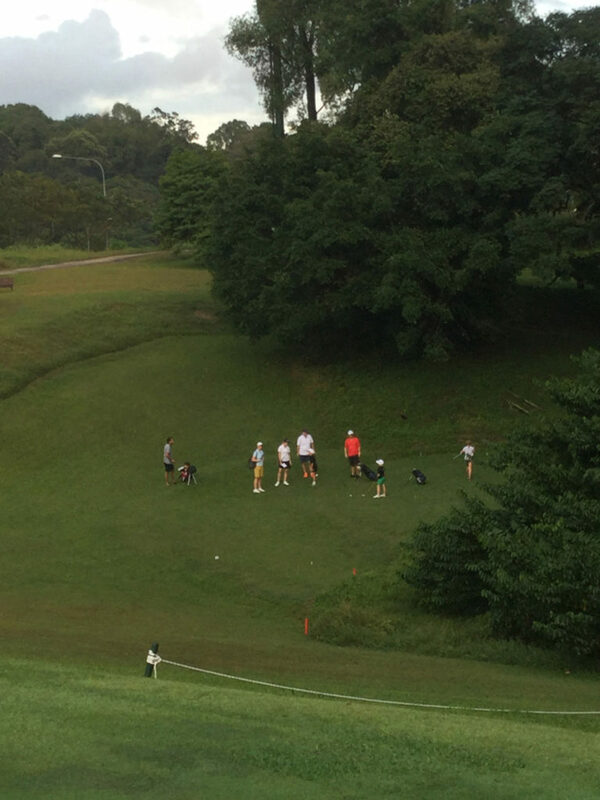 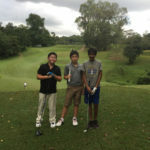 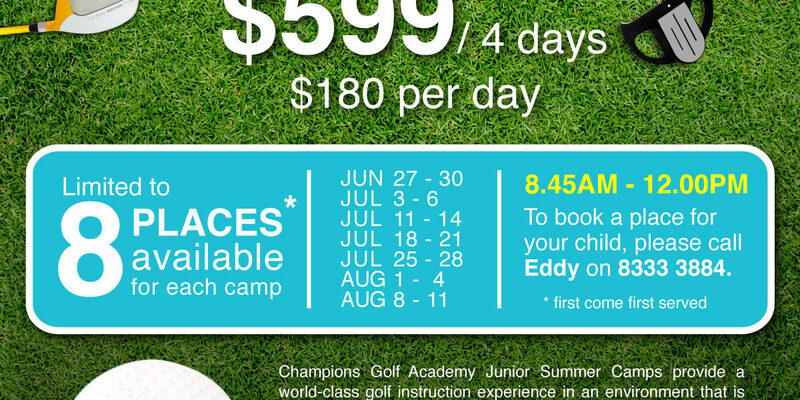 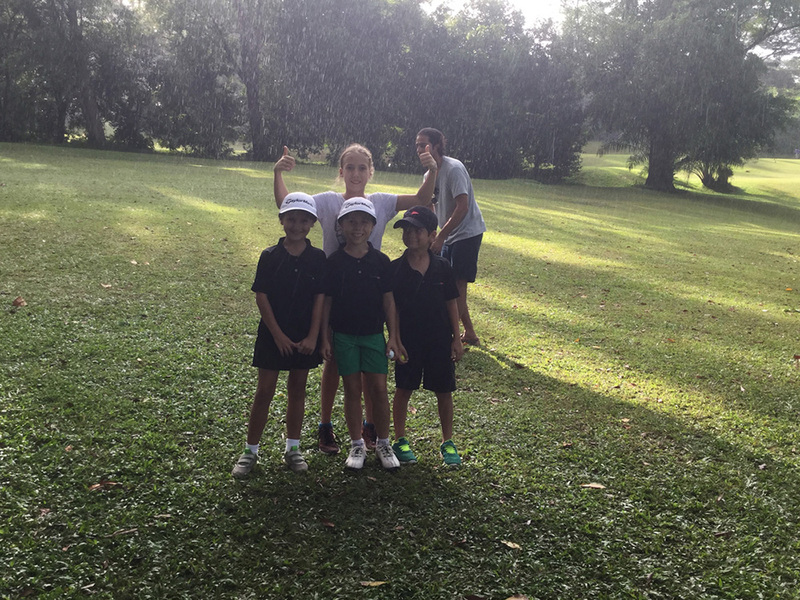 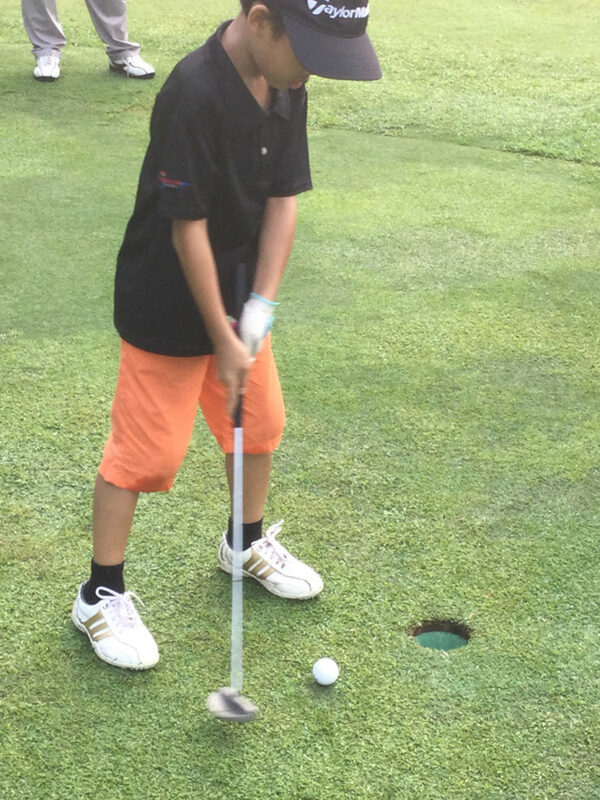 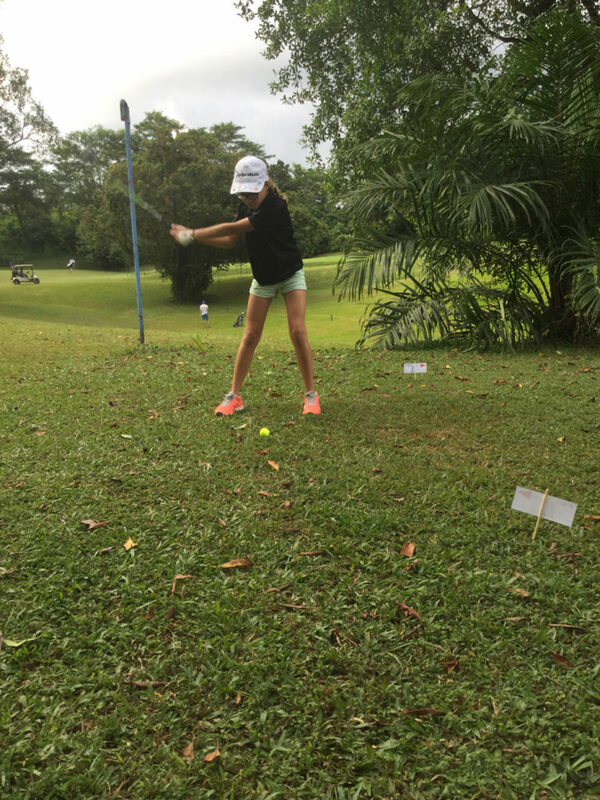 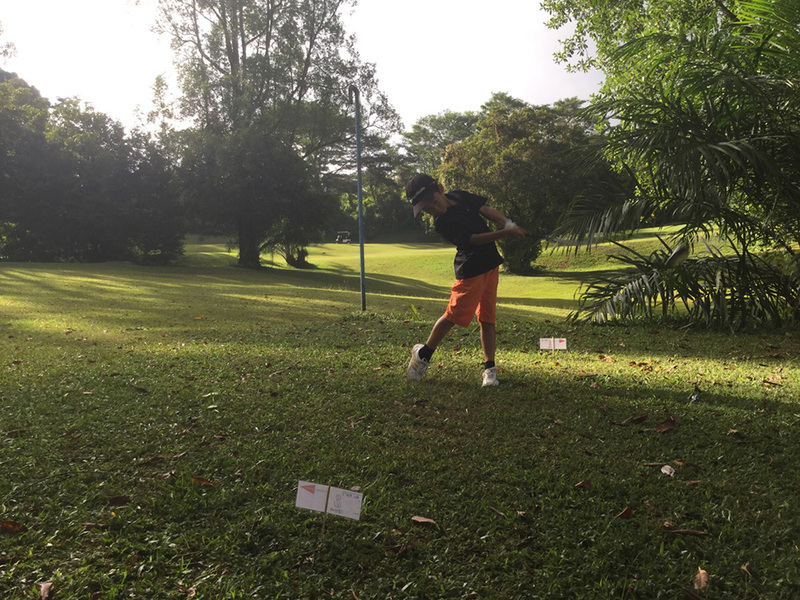 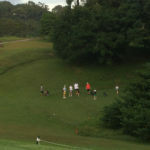 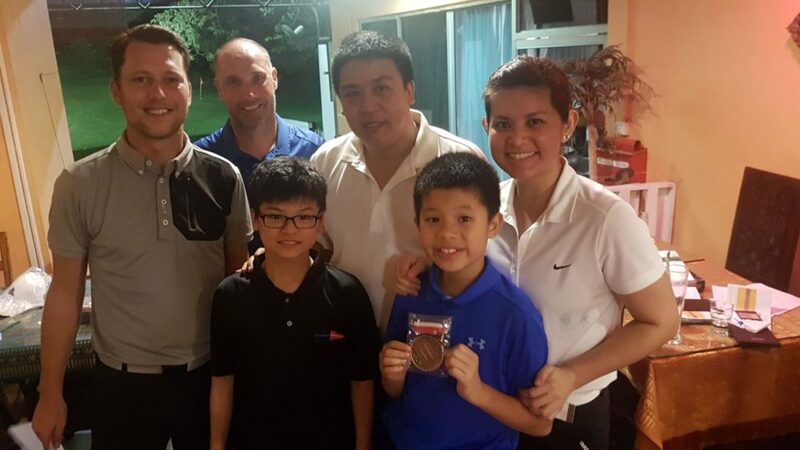 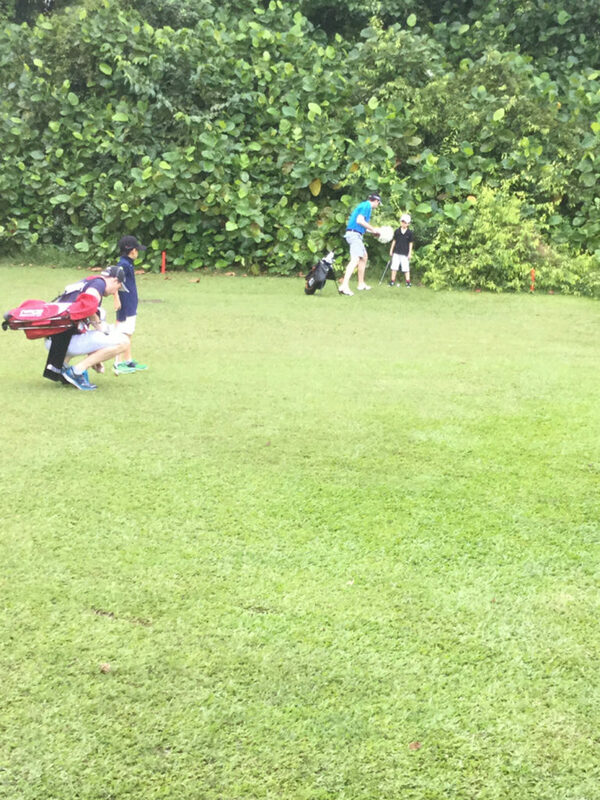 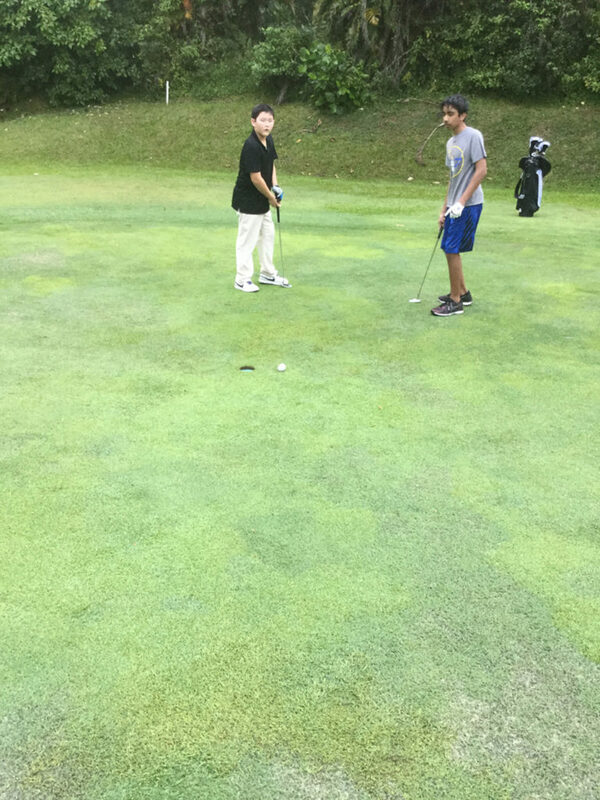 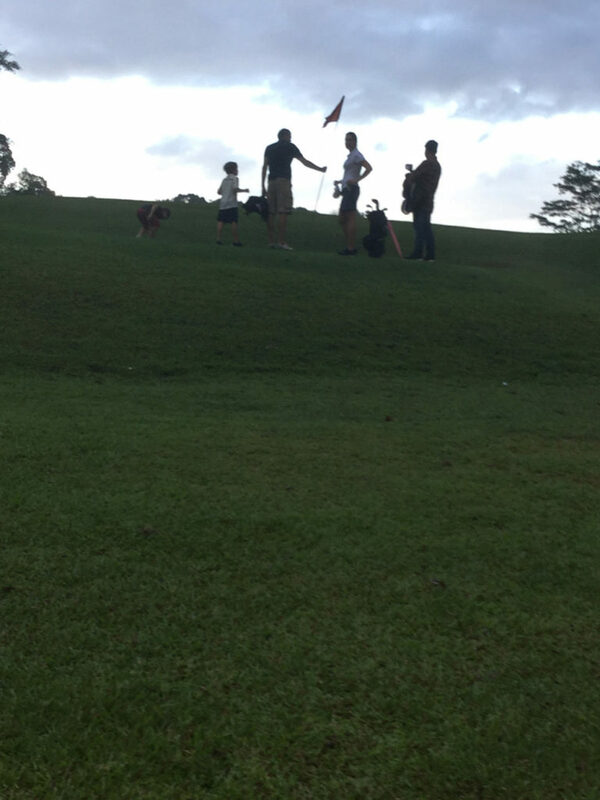 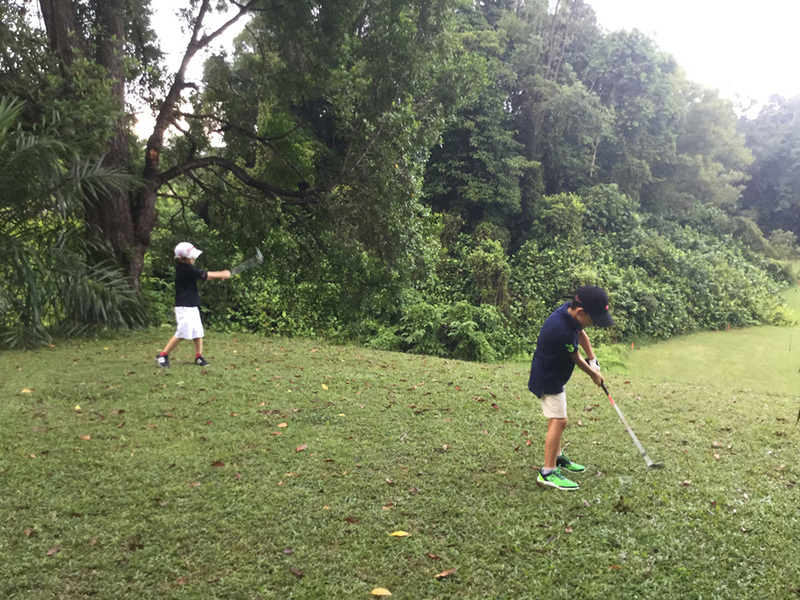 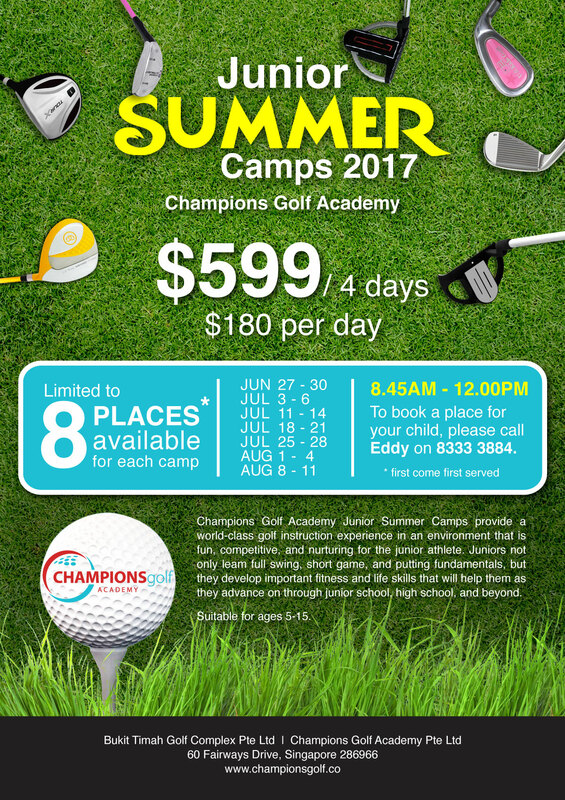 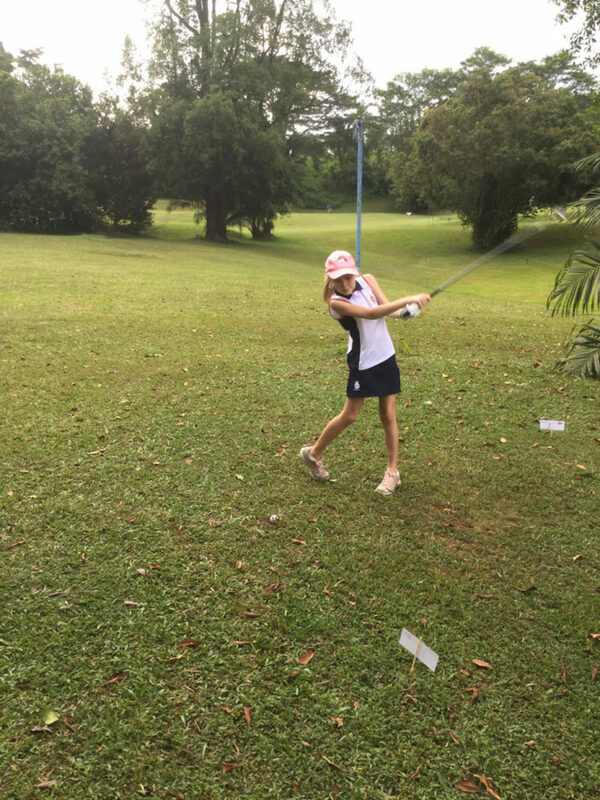 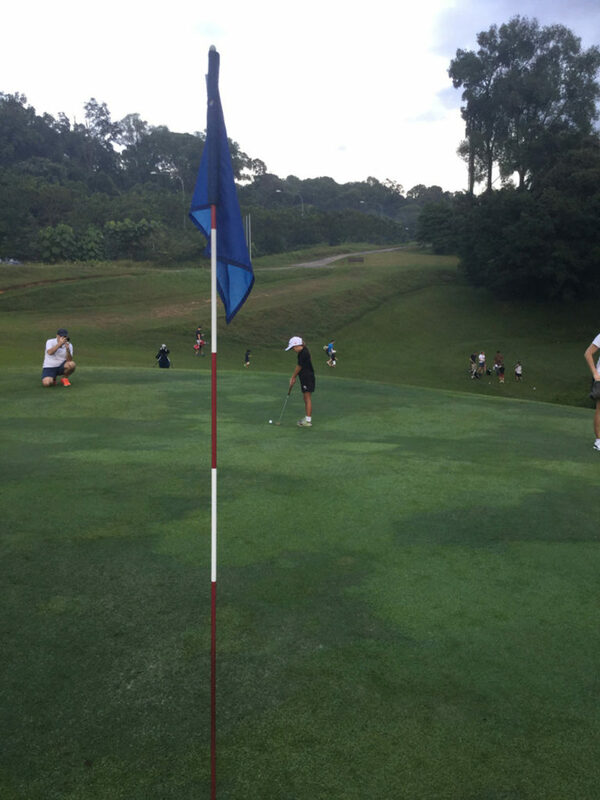 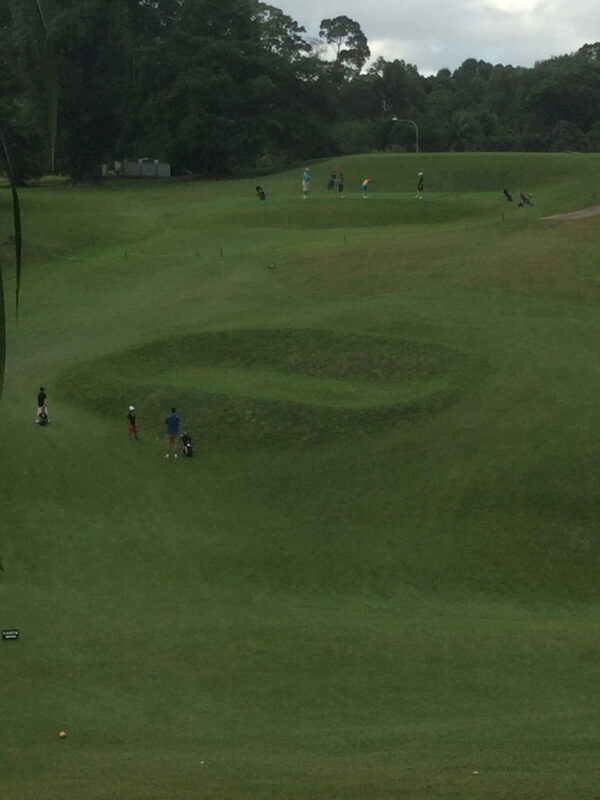 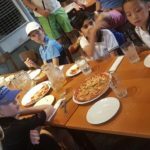 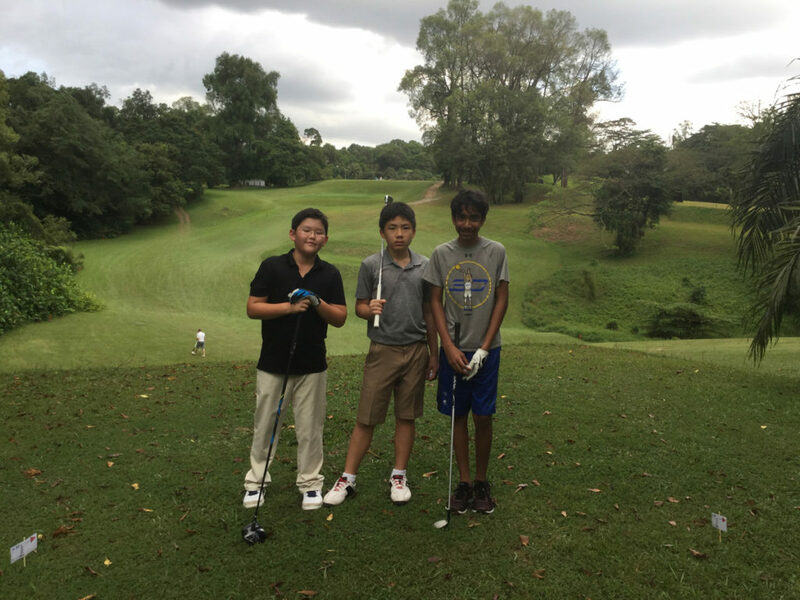 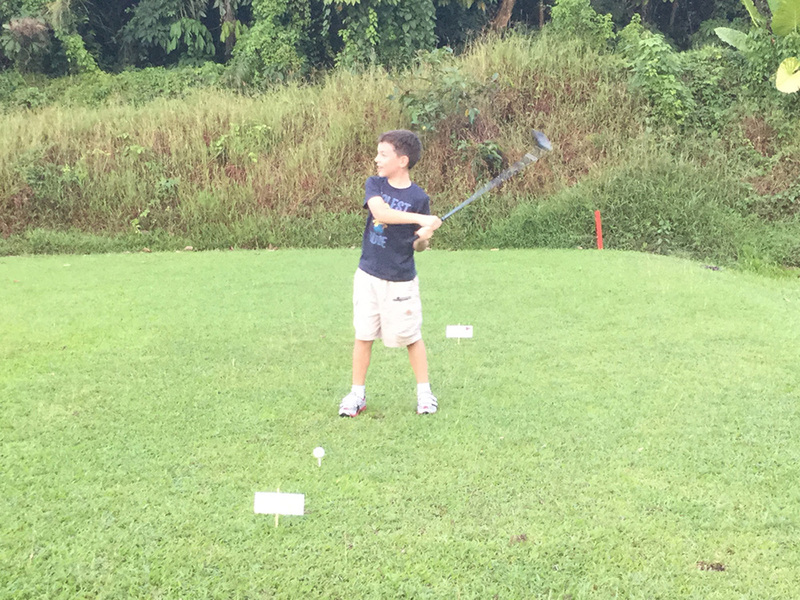 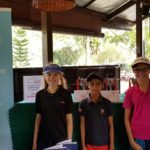 Champions Junior Academy takes a trip to the SMBC Singapore Open at Sentosa. 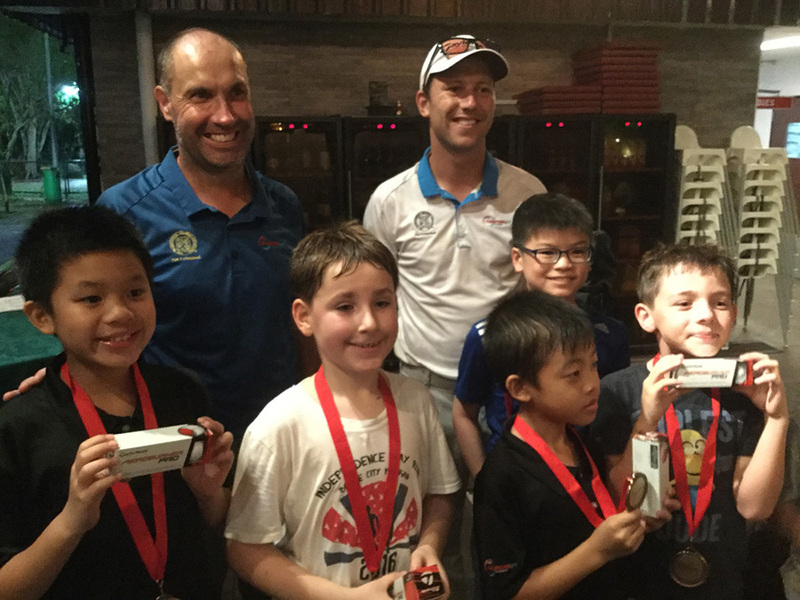 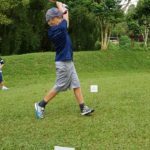 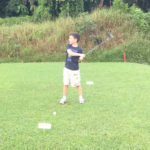 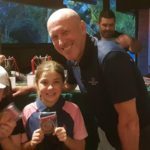 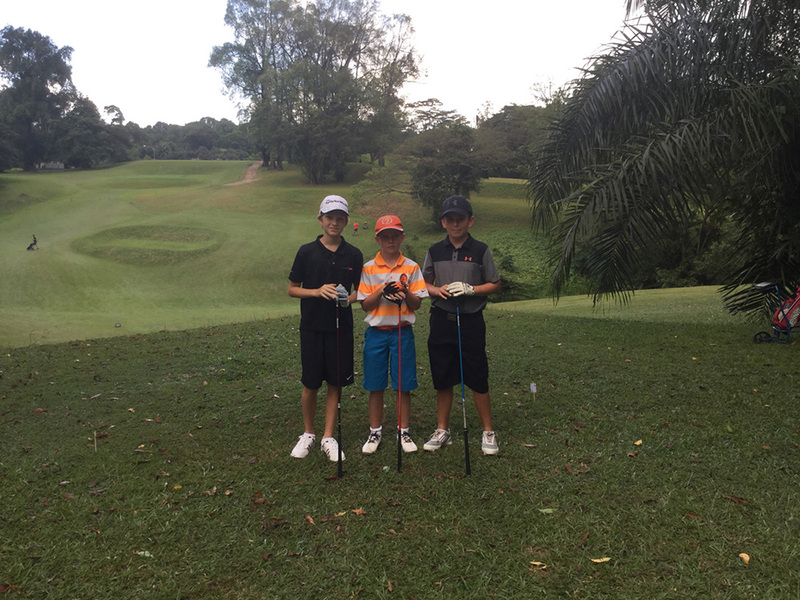 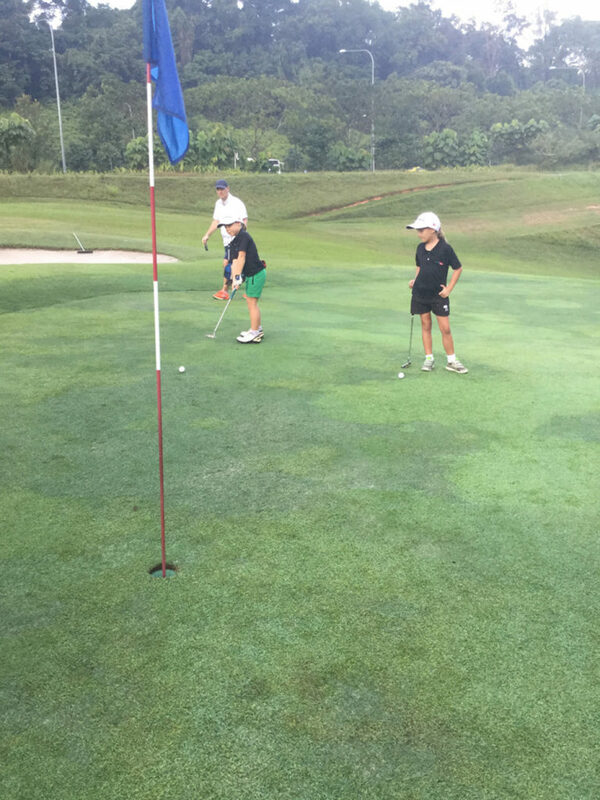 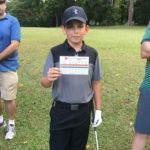 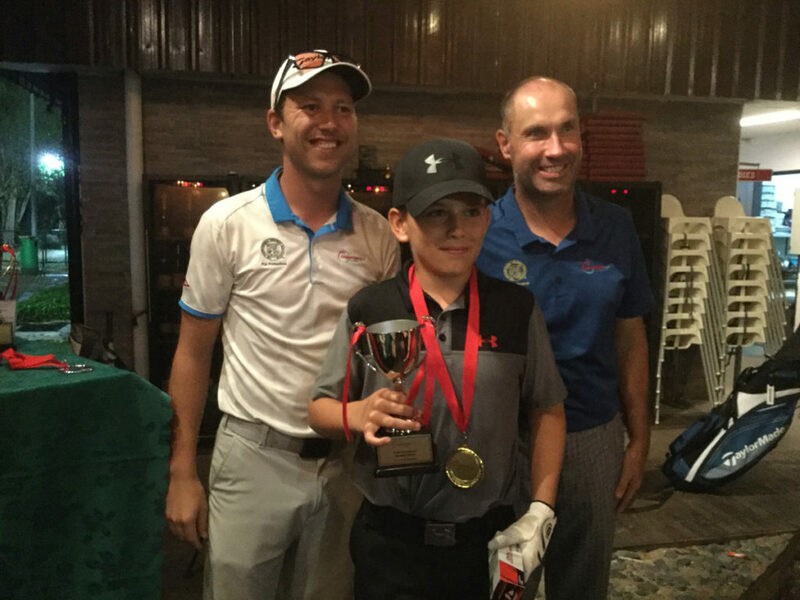 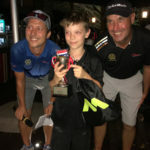 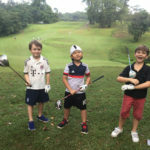 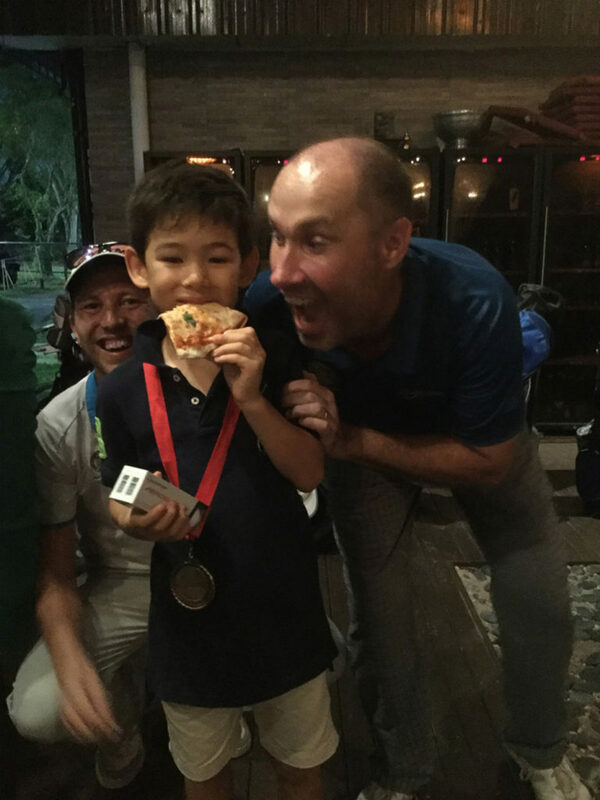 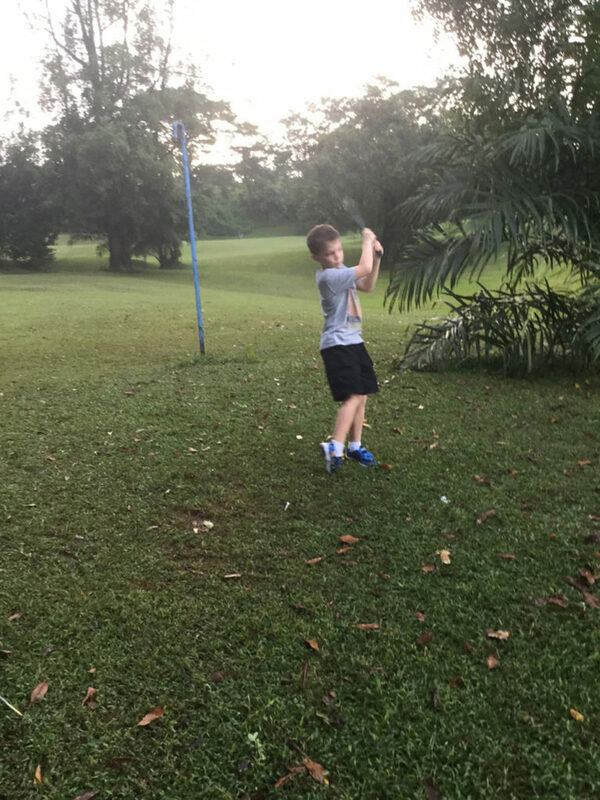 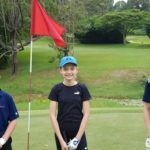 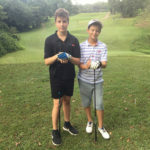 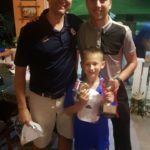 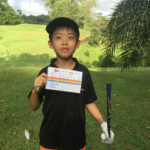 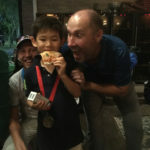 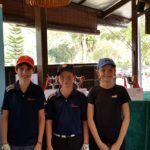 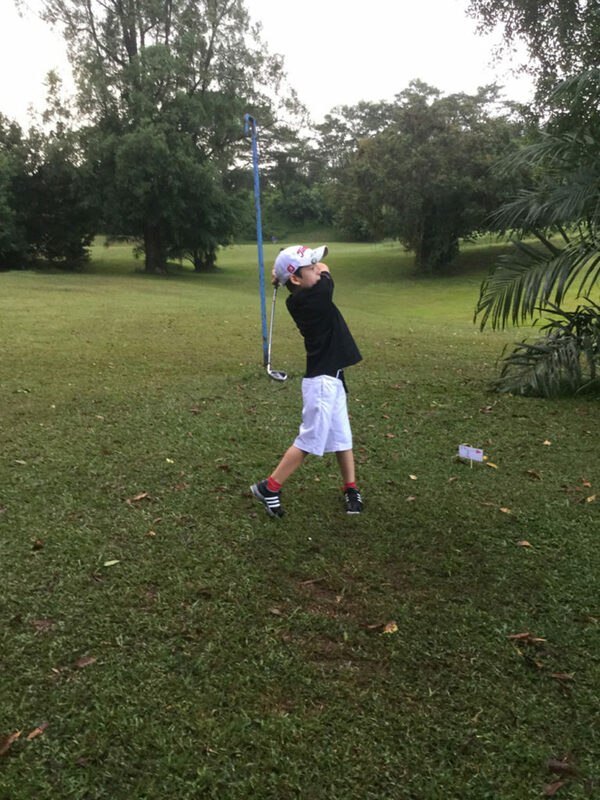 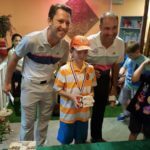 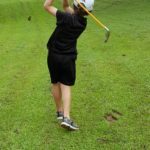 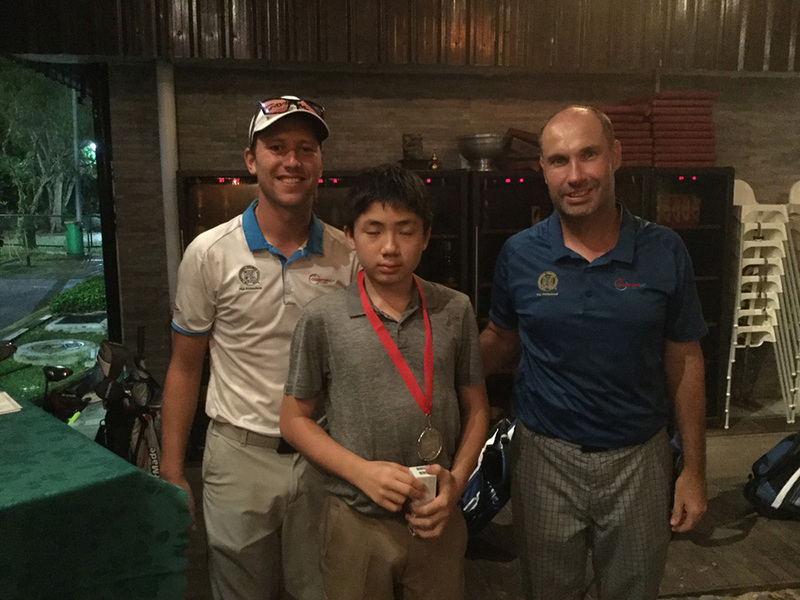 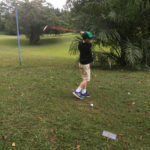 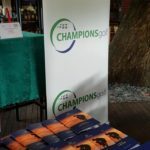 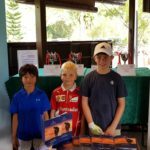 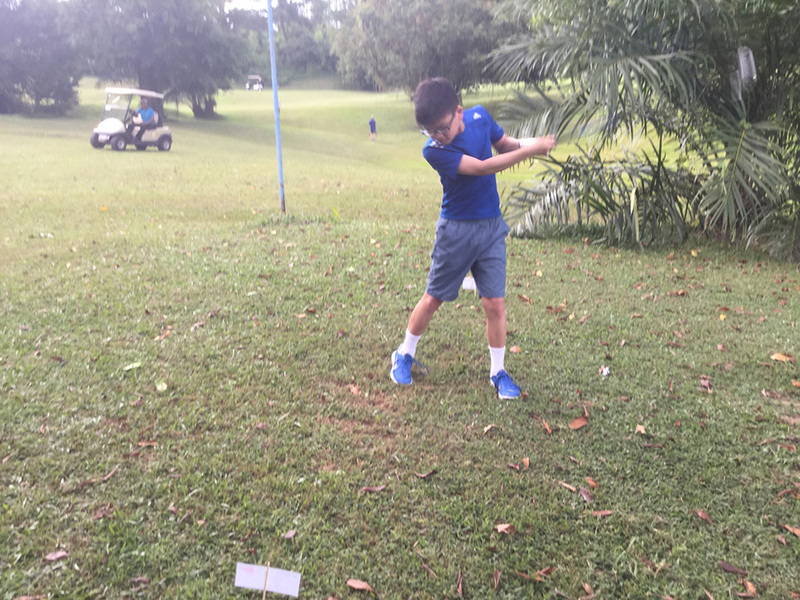 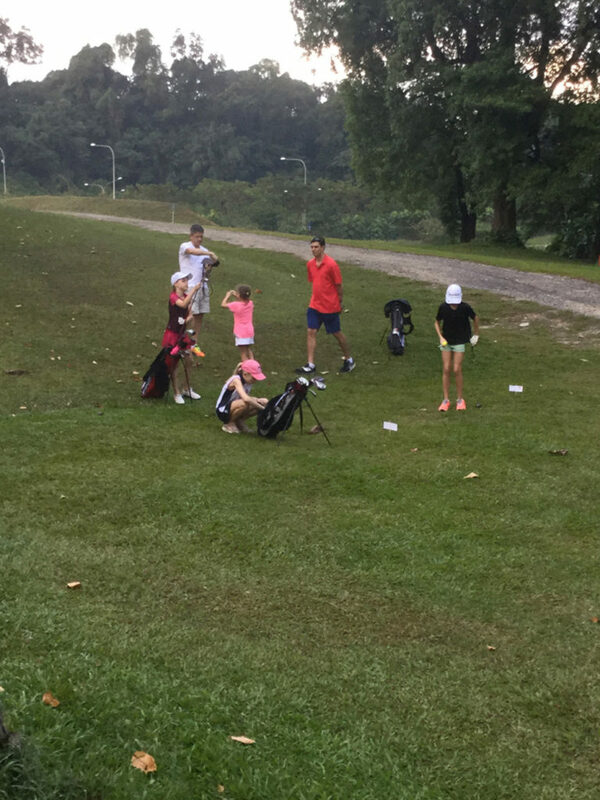 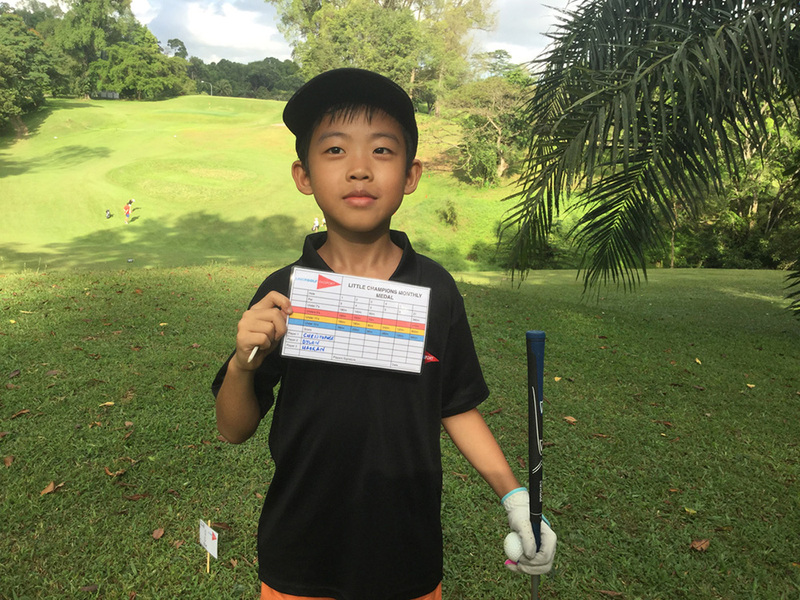 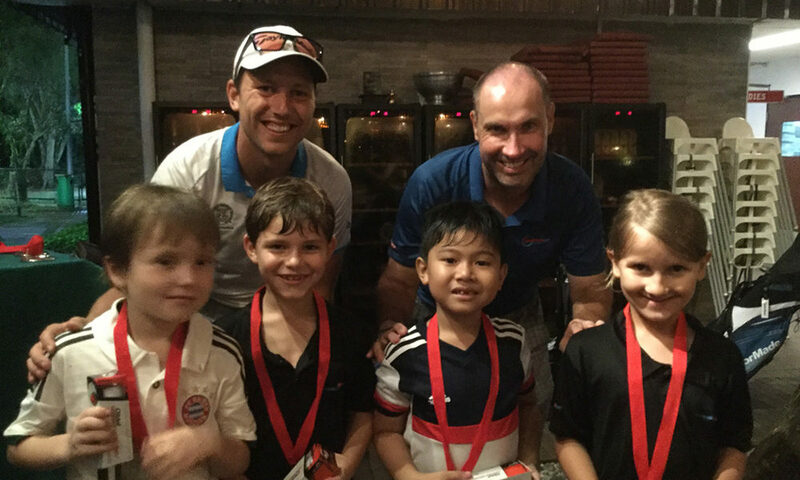 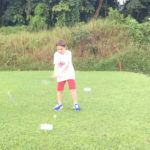 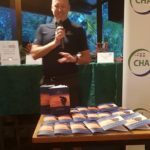 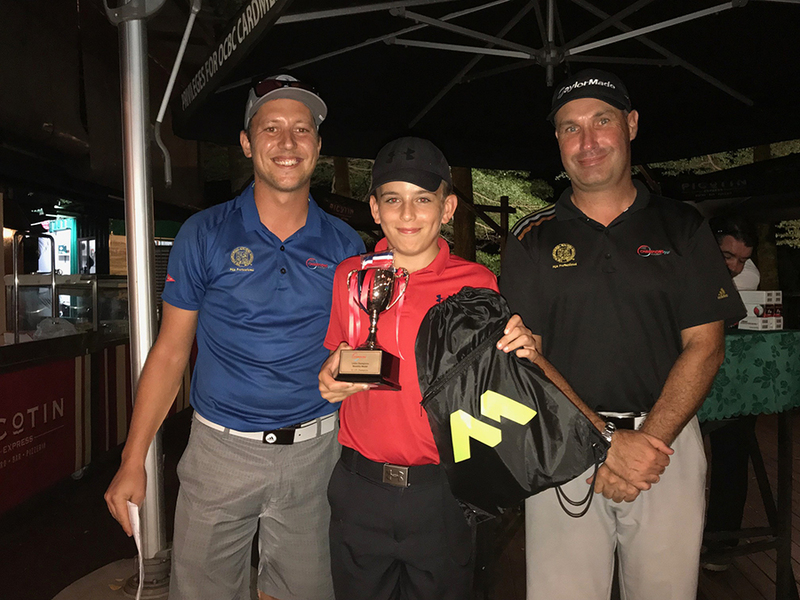 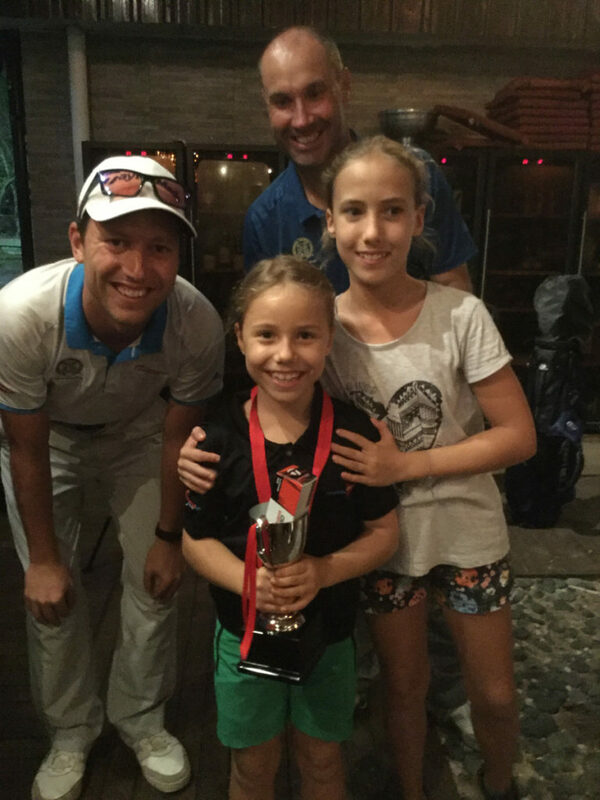 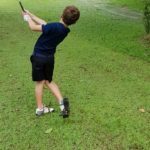 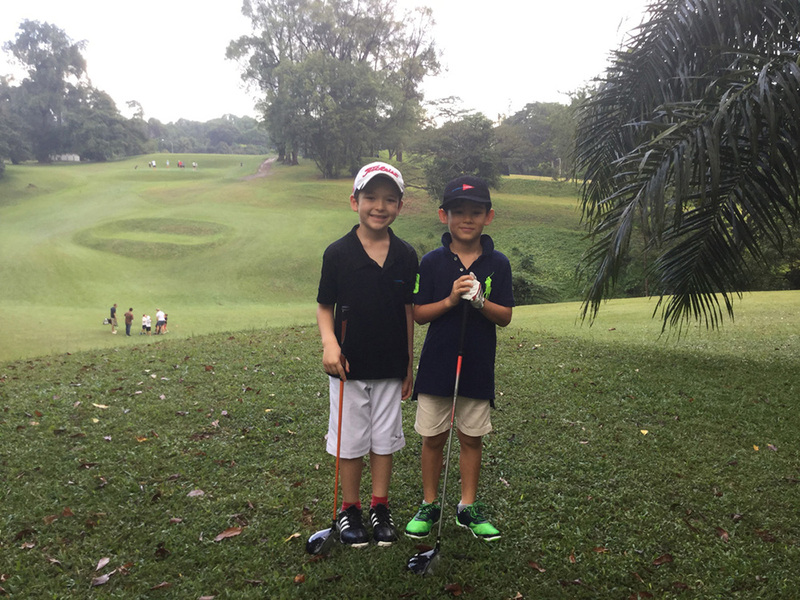 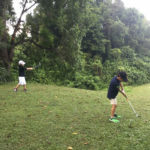 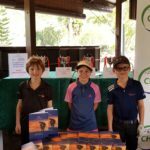 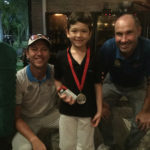 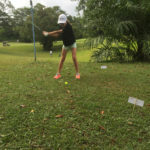 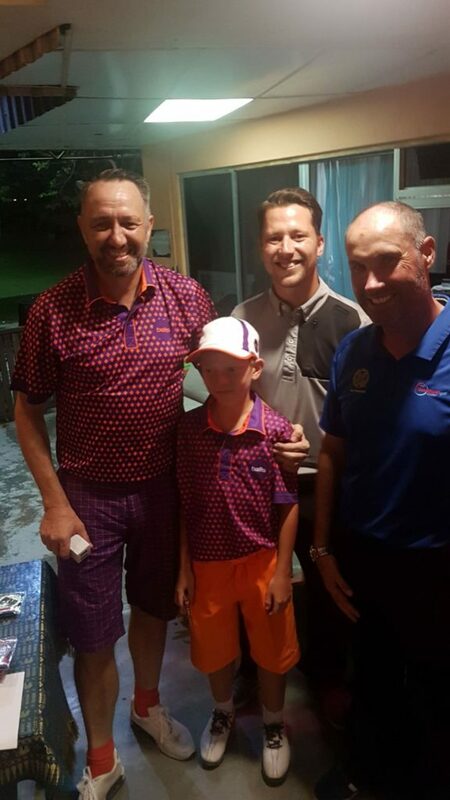 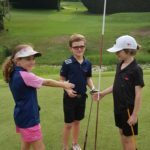 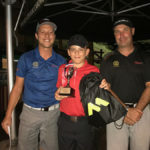 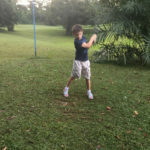 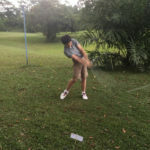 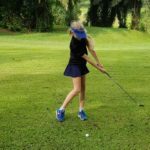 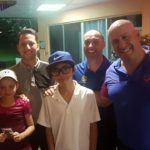 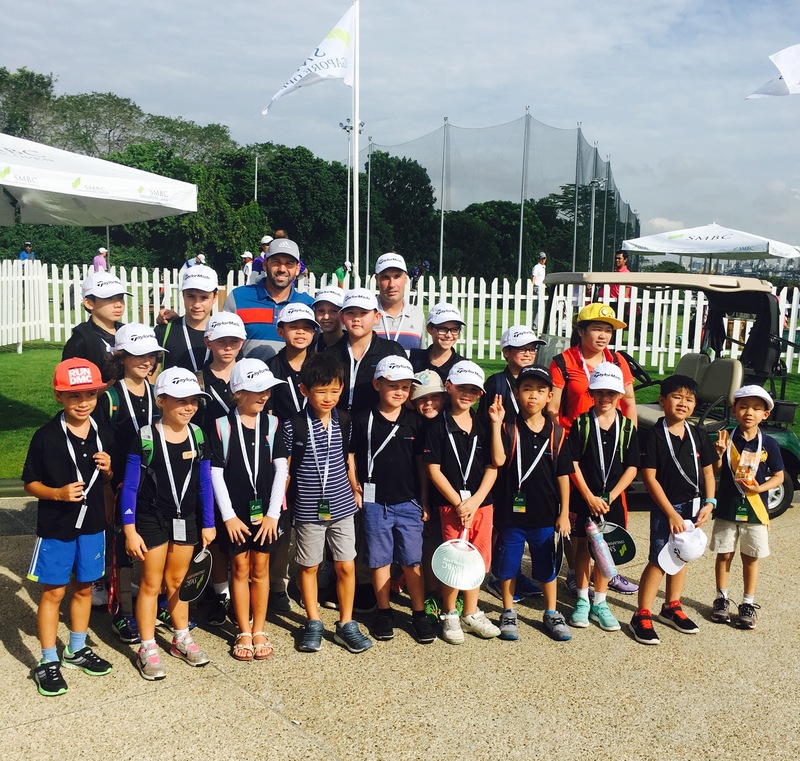 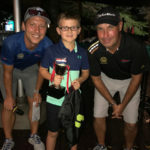 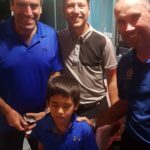 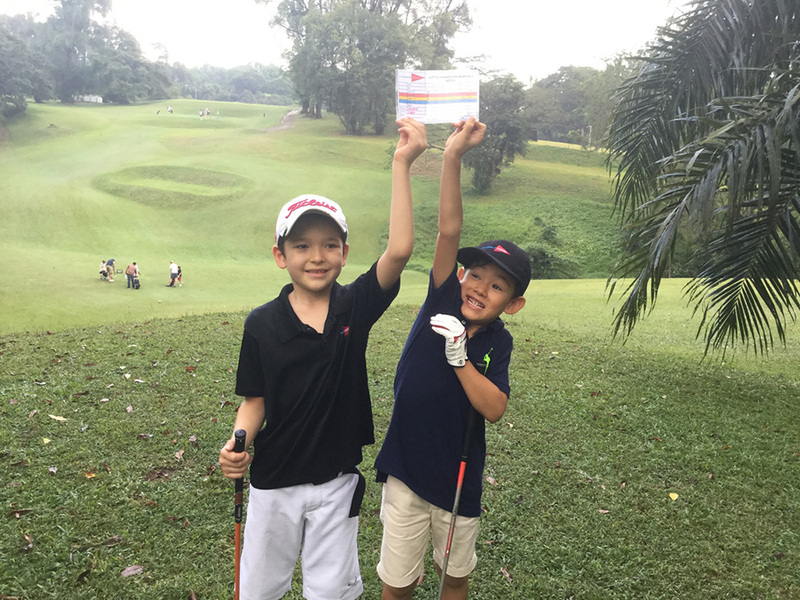 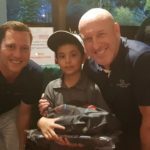 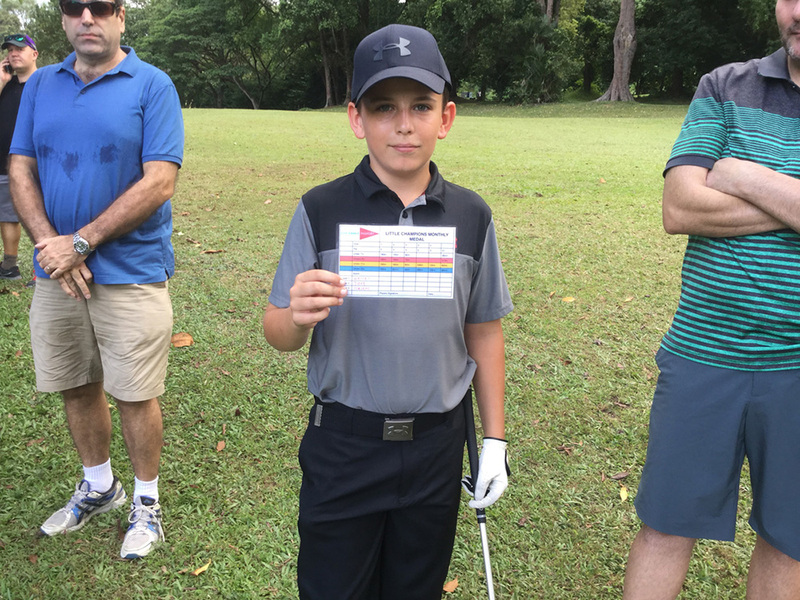 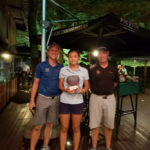 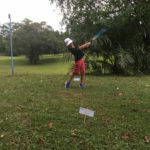 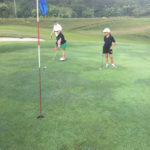 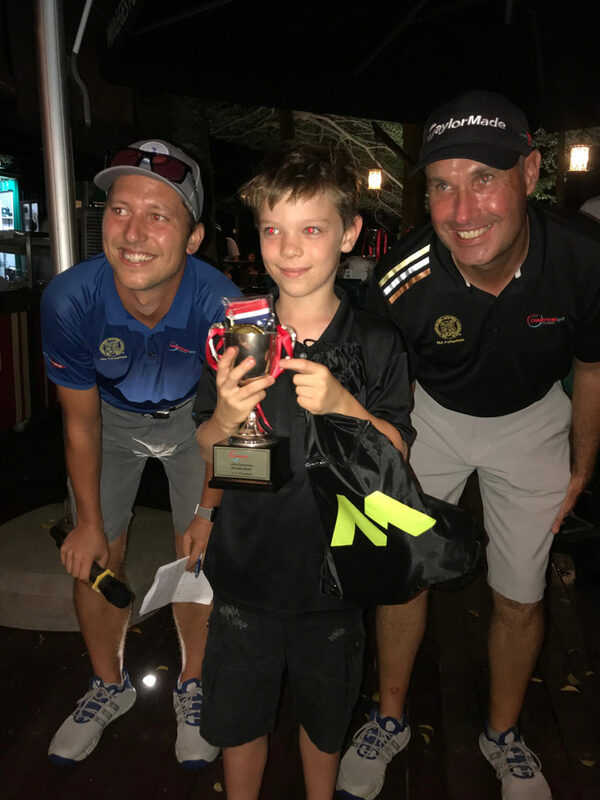 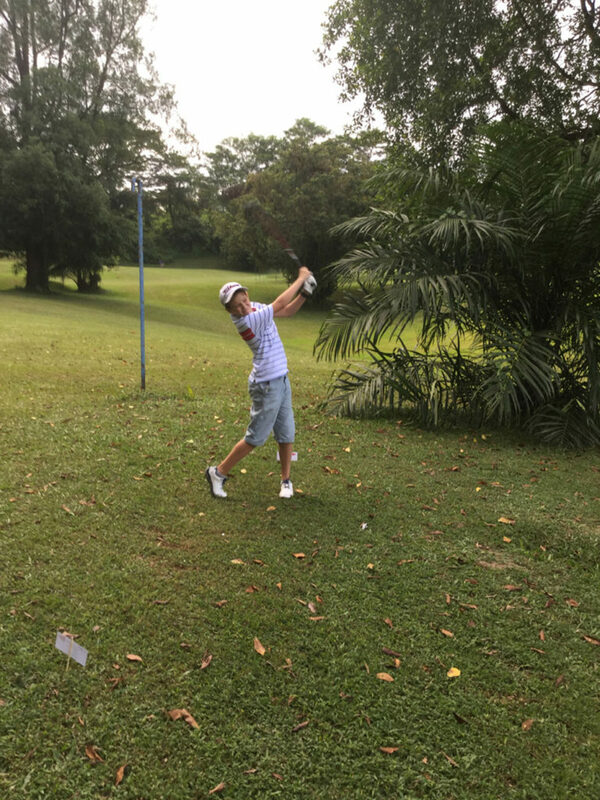 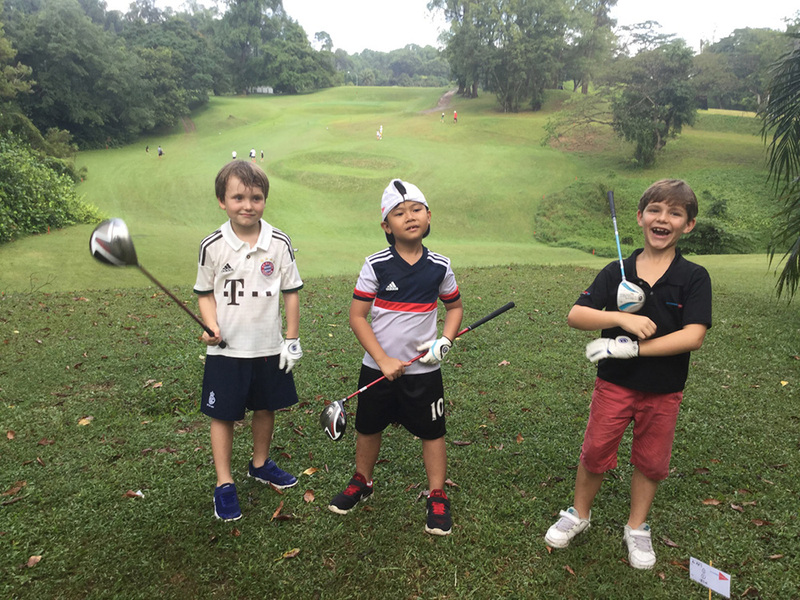 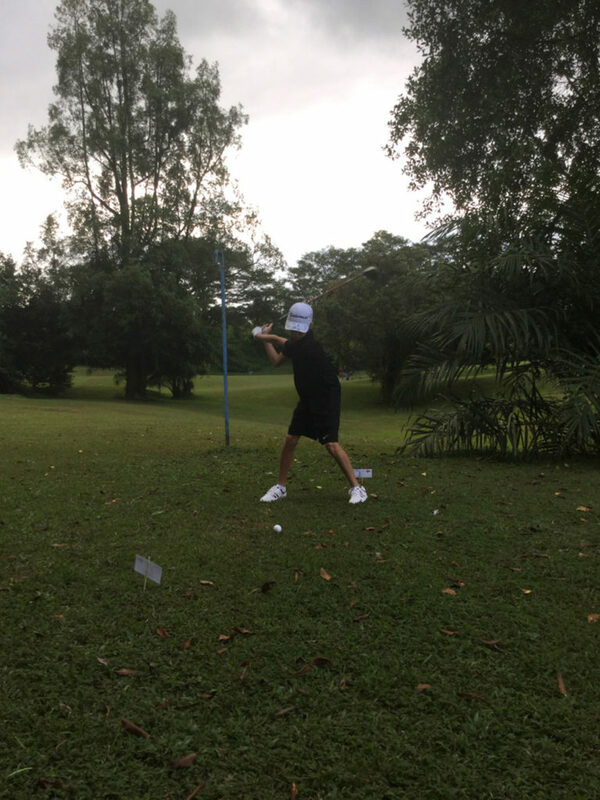 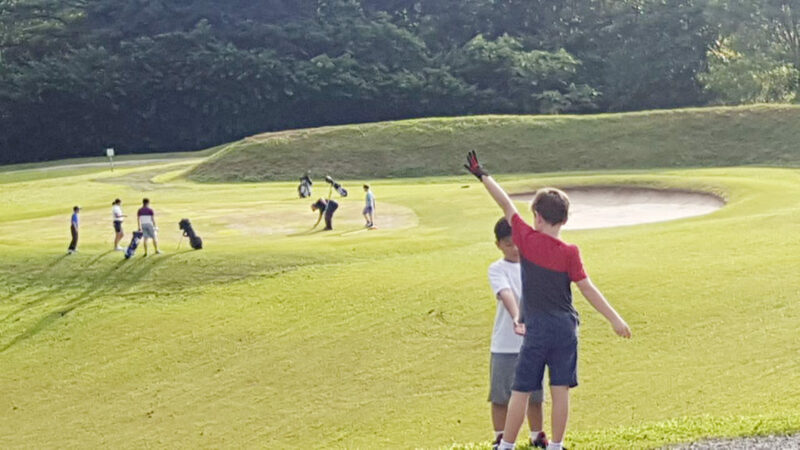 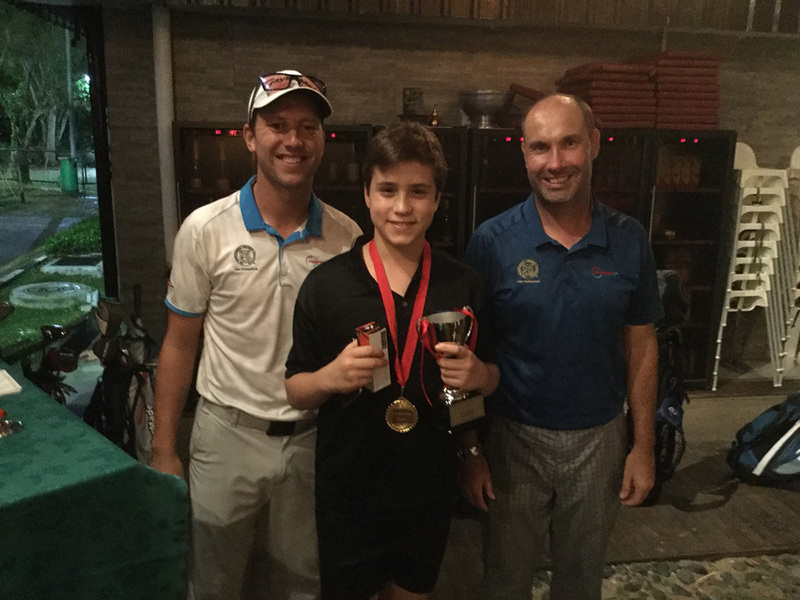 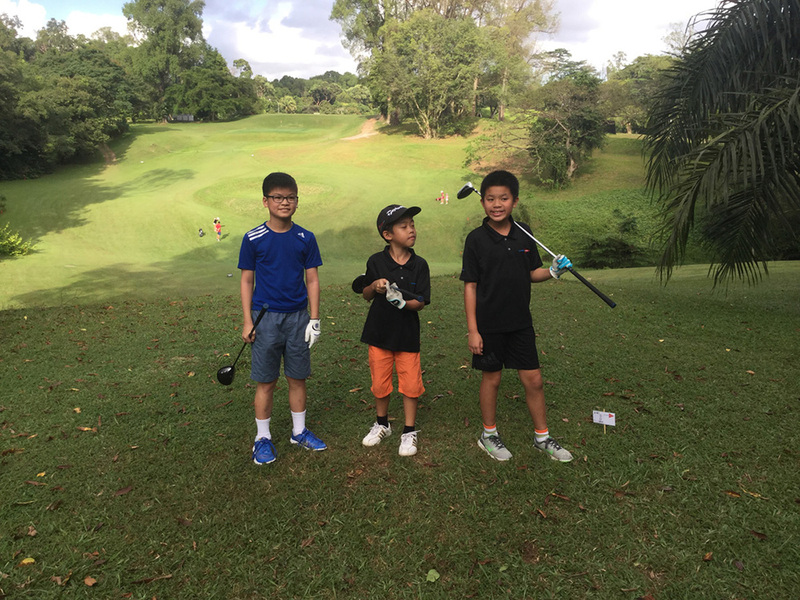 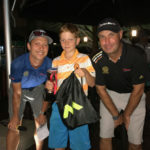 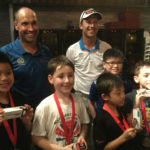 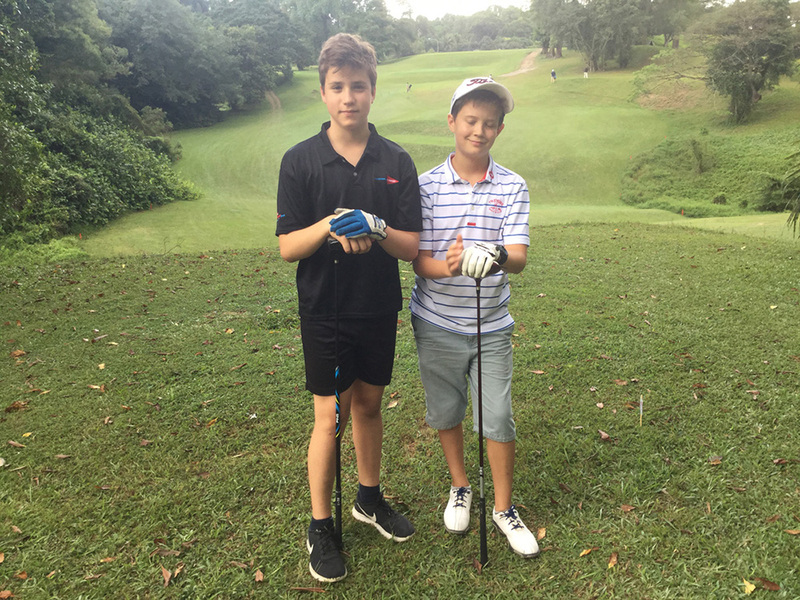 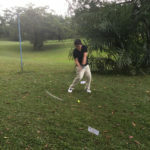 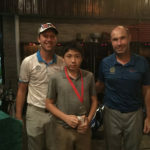 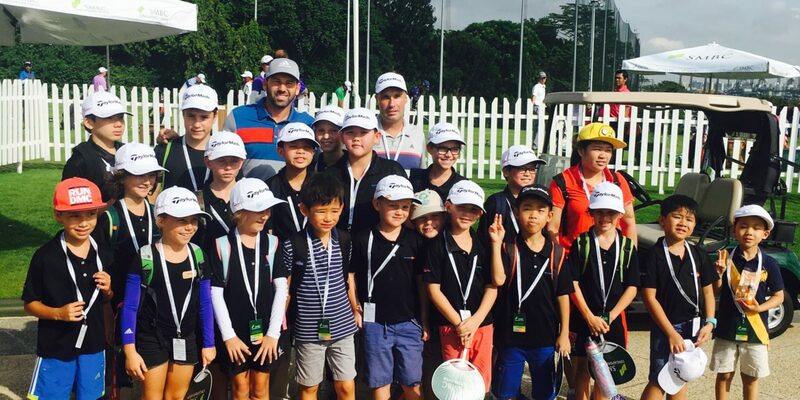 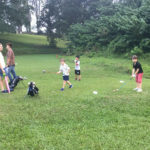 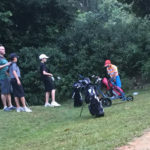 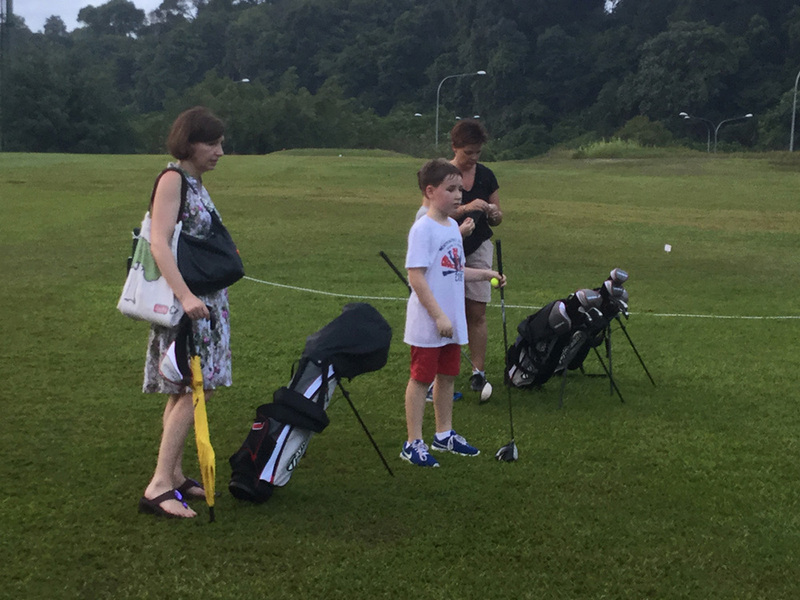 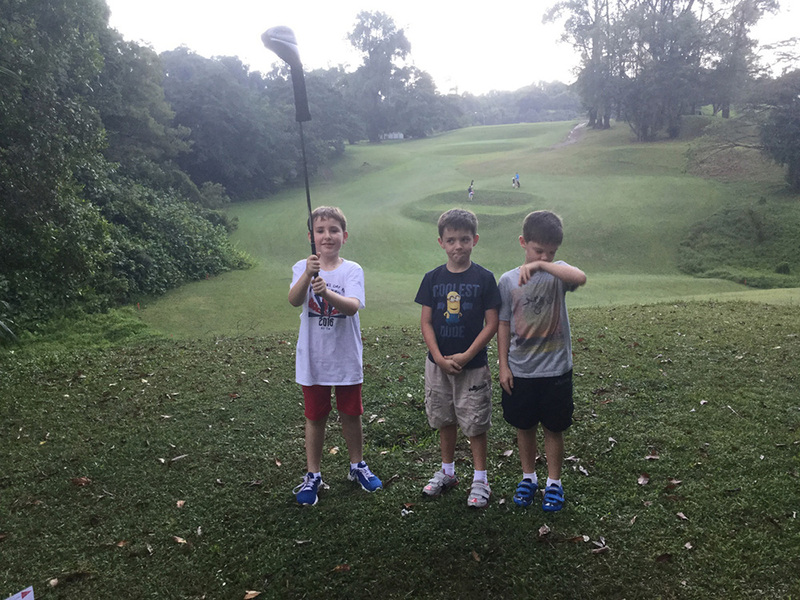 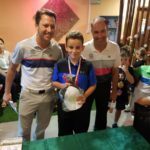 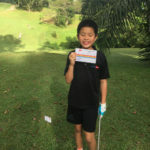 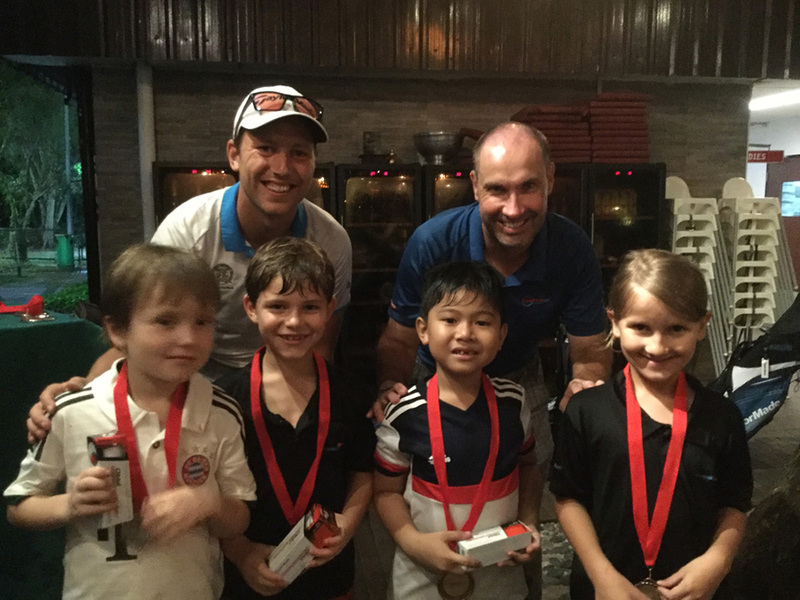 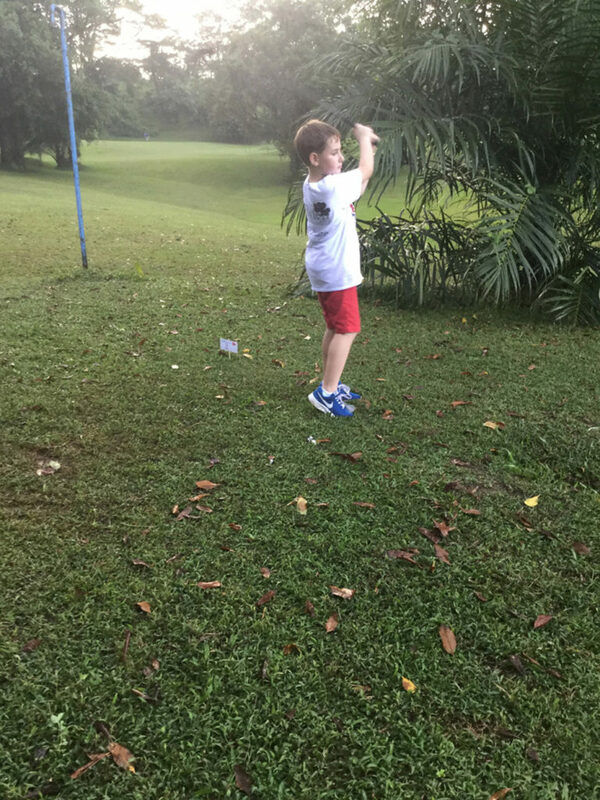 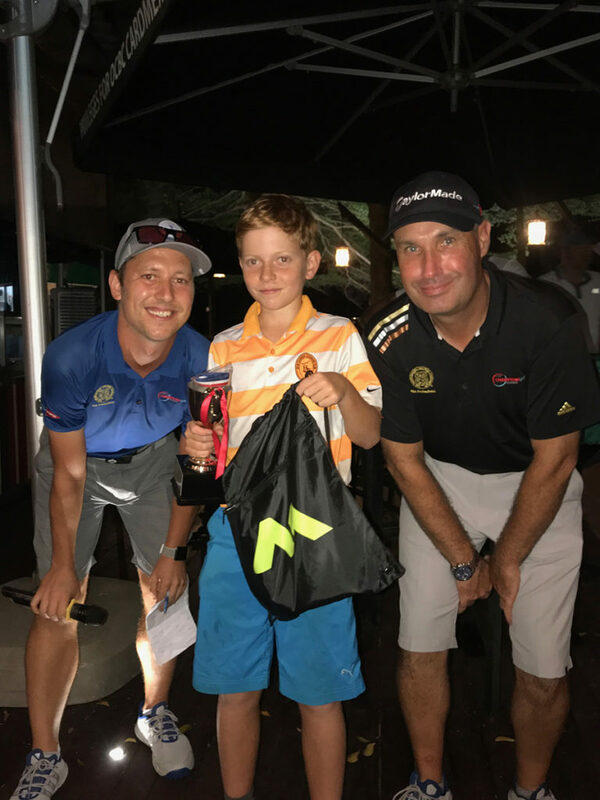 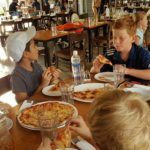 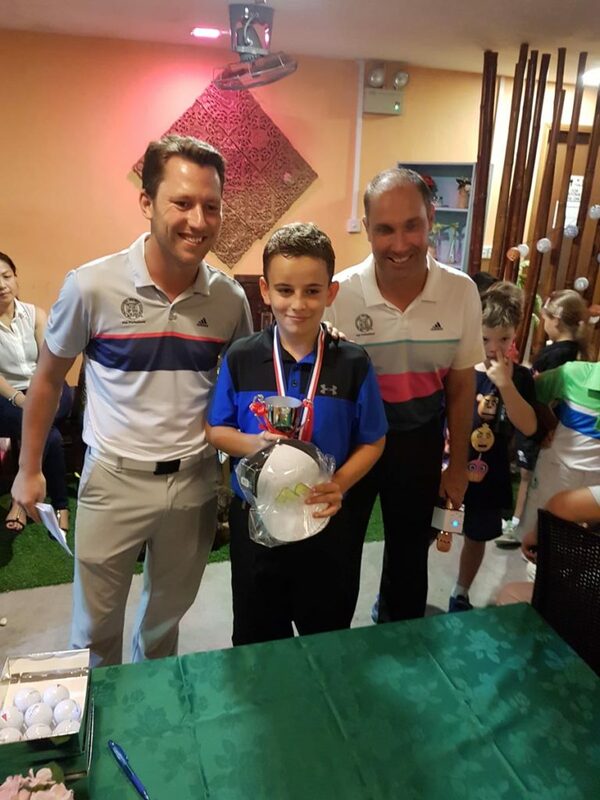 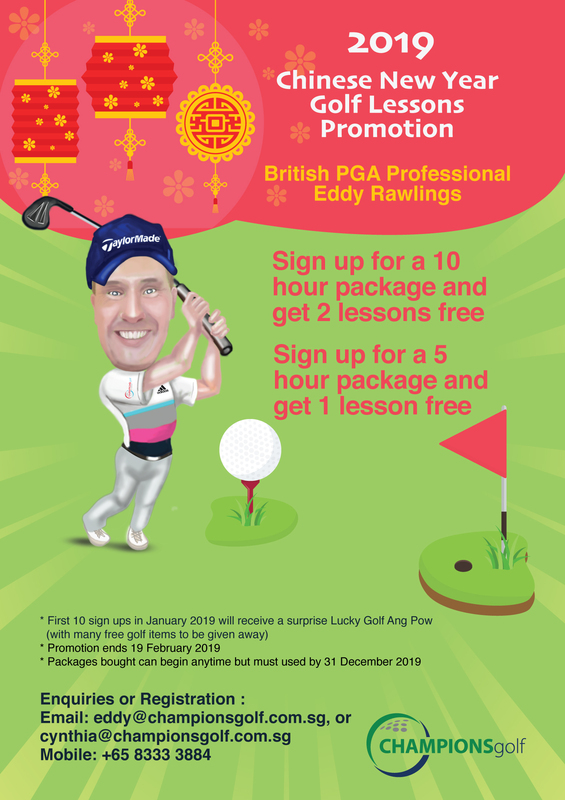 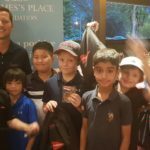 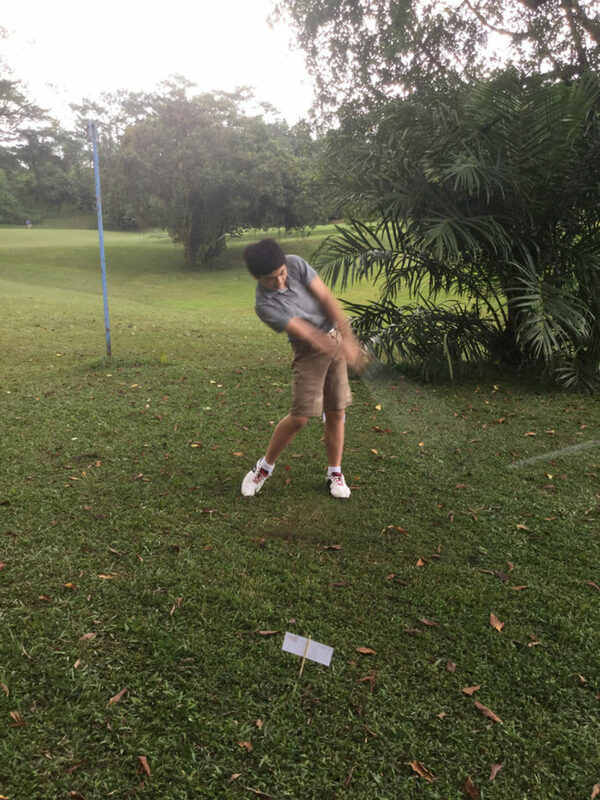 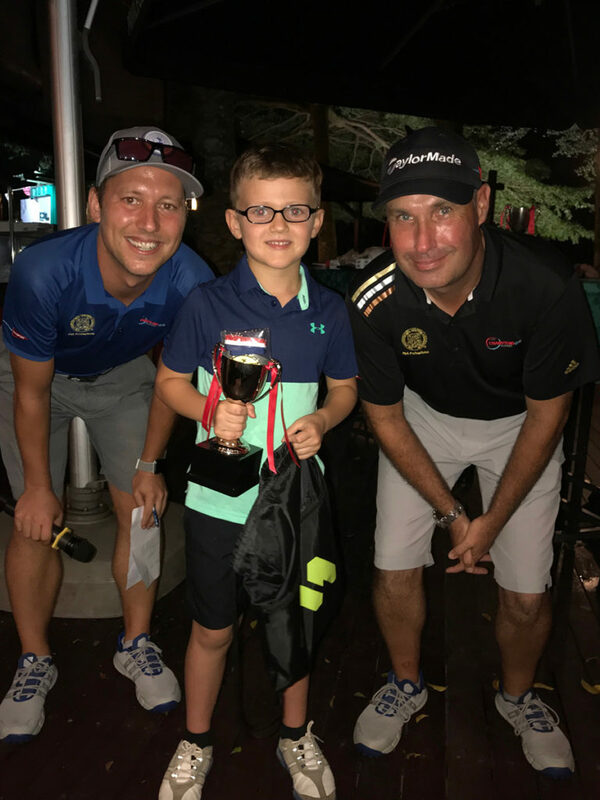 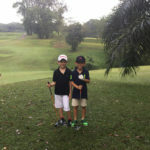 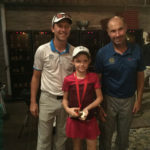 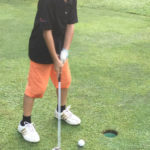 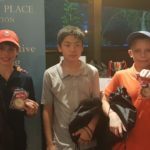 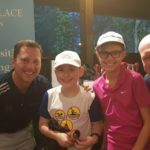 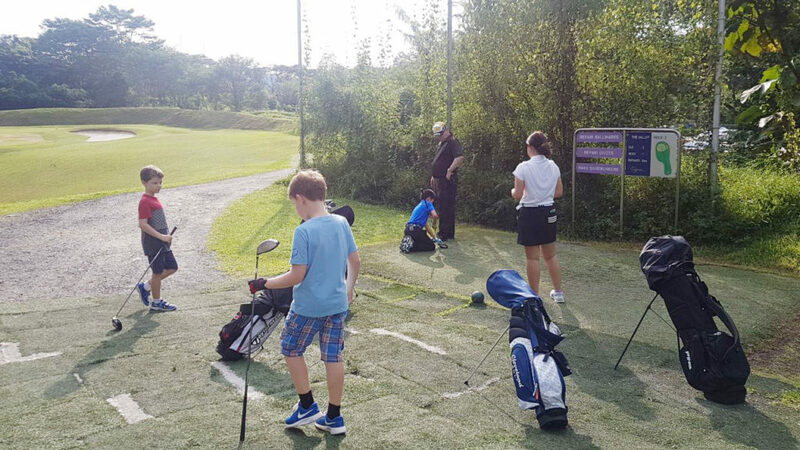 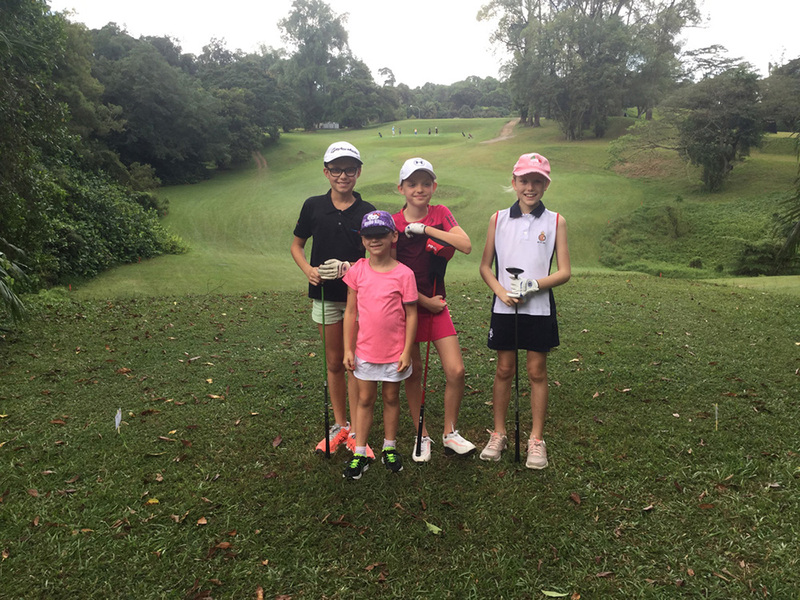 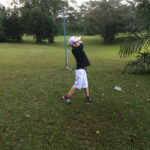 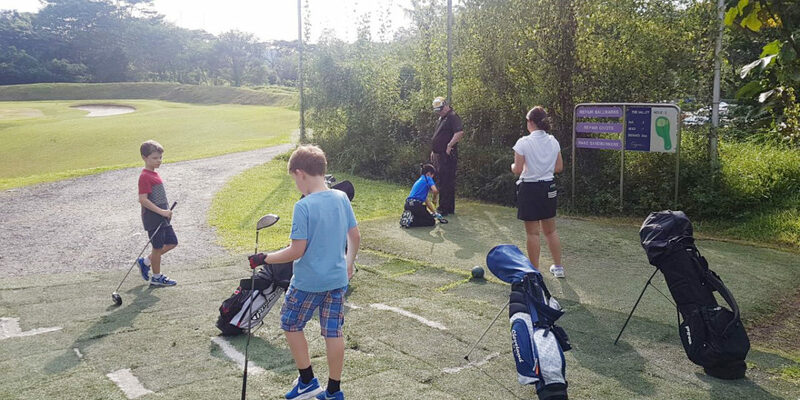 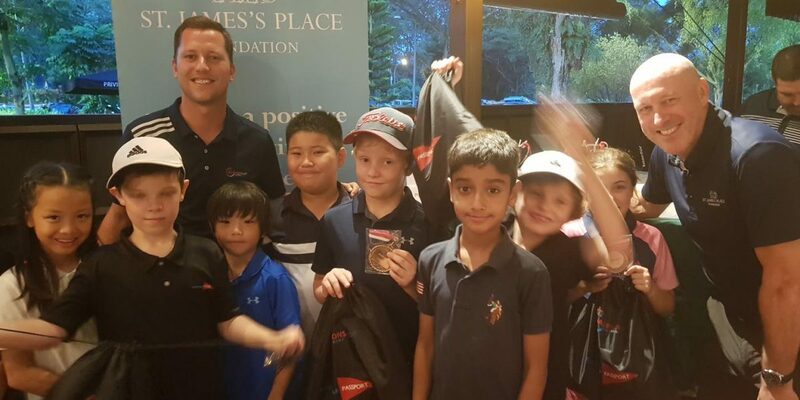 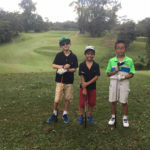 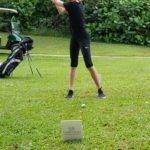 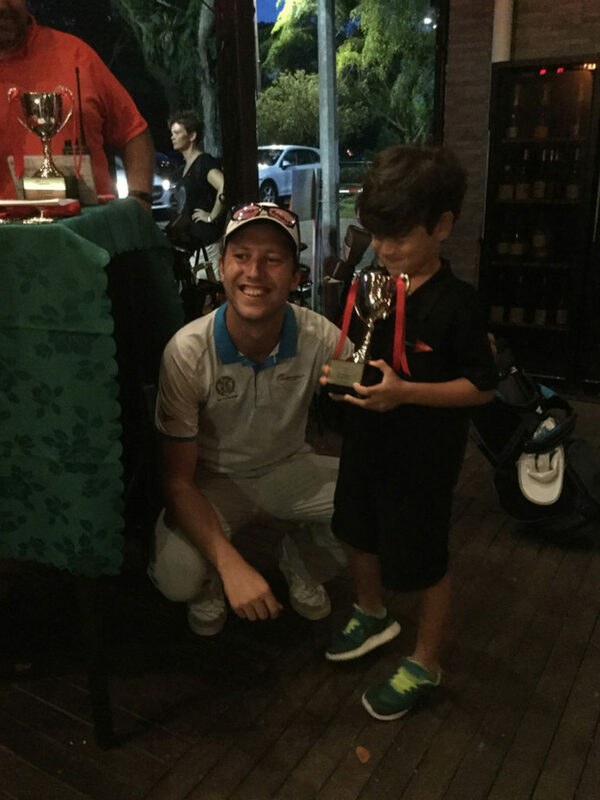 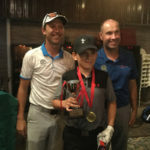 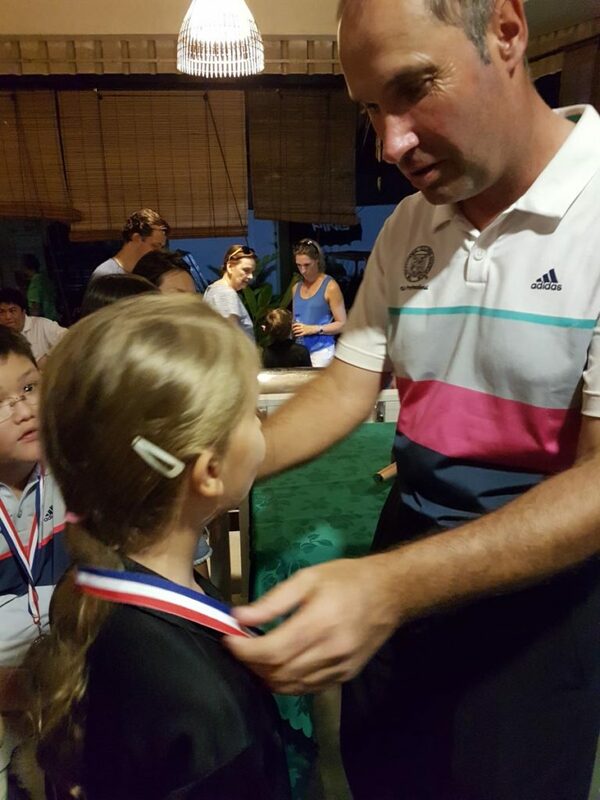 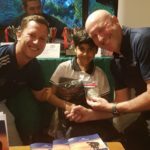 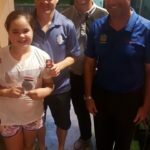 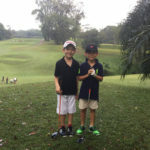 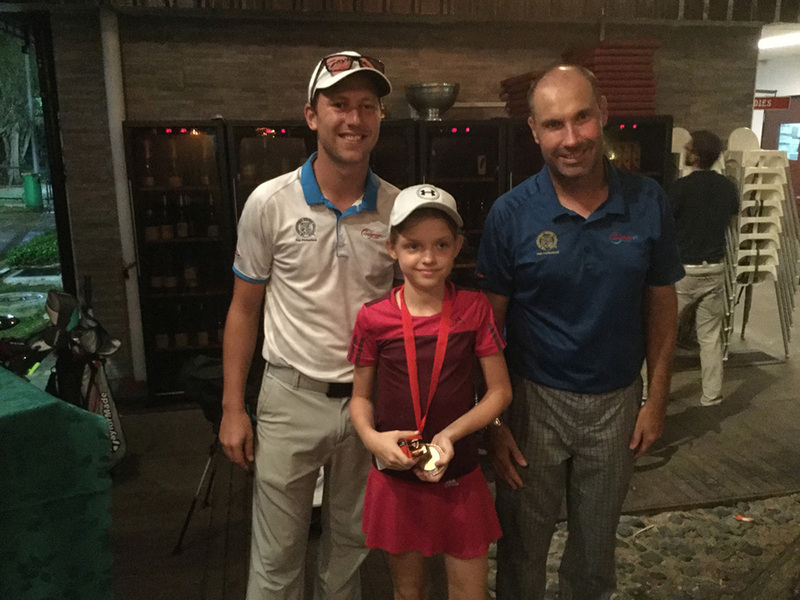 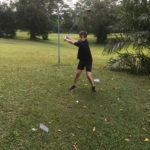 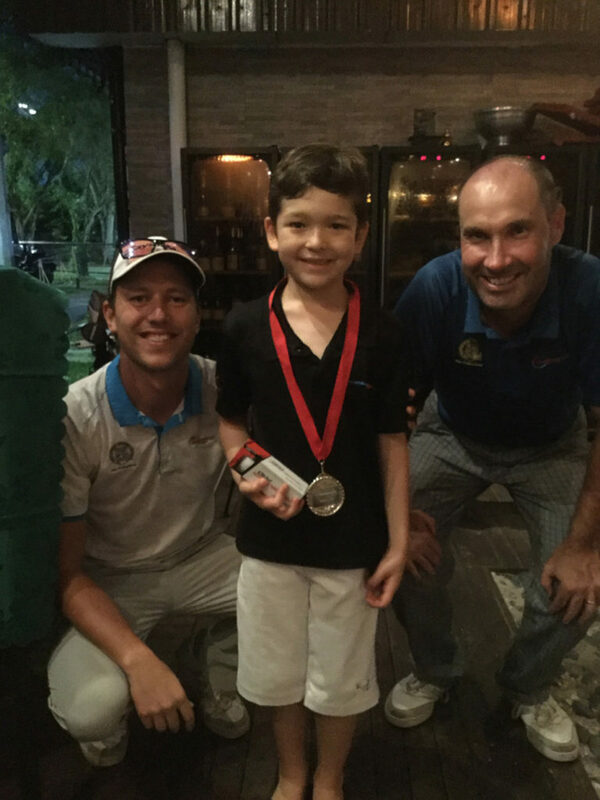 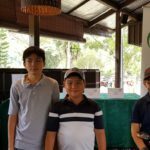 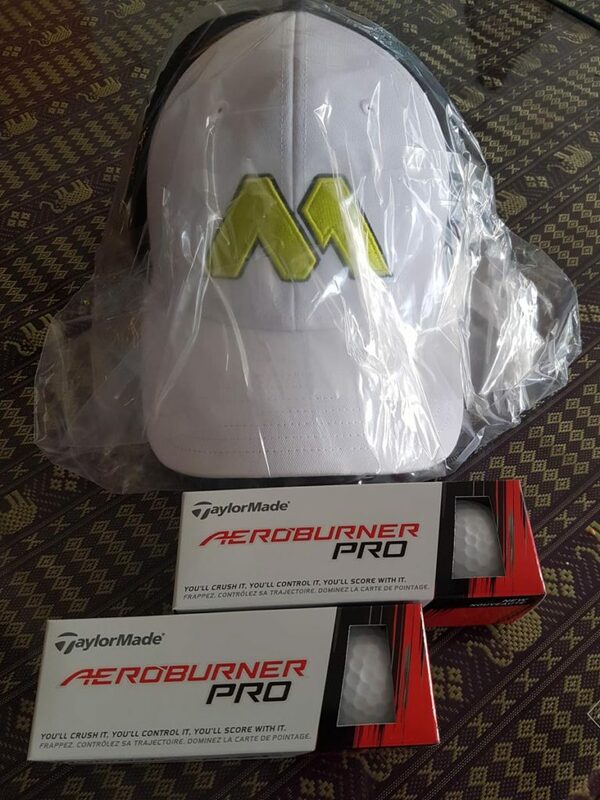 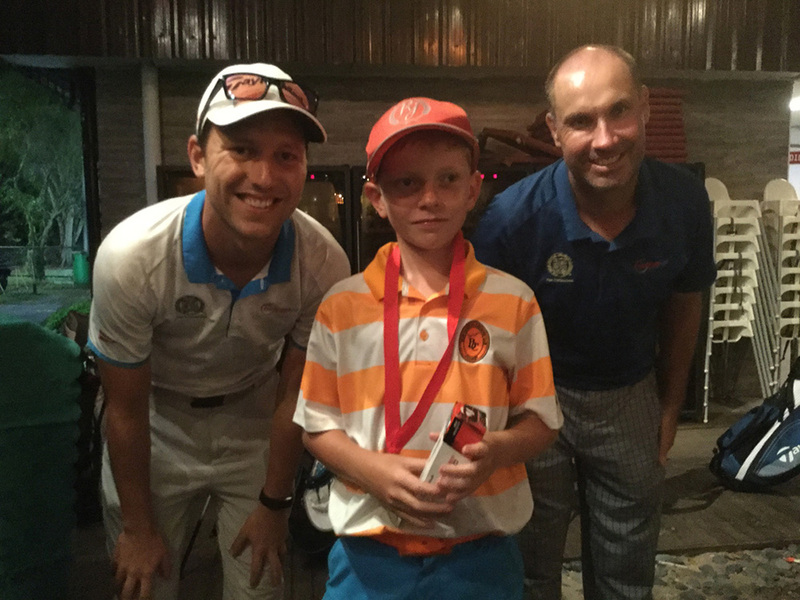 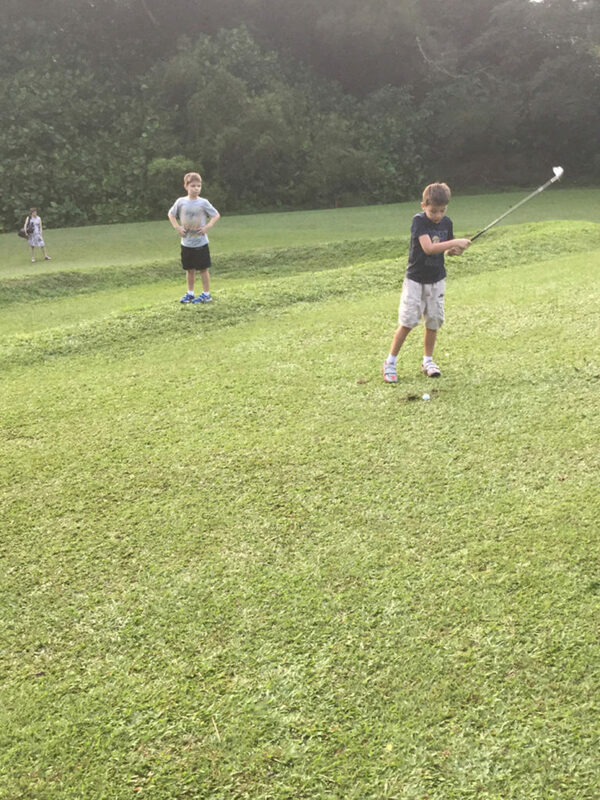 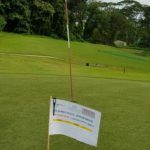 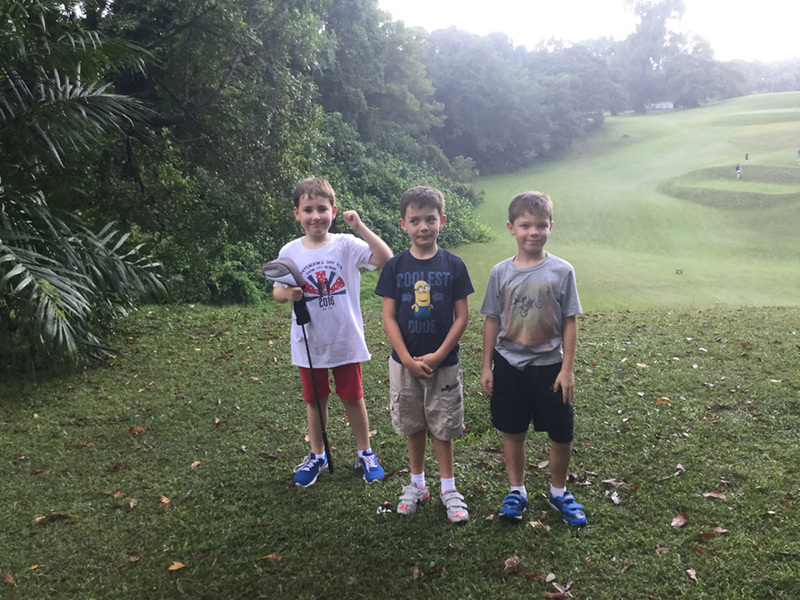 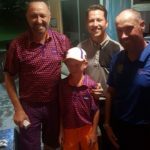 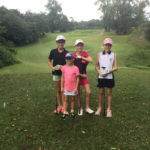 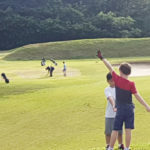 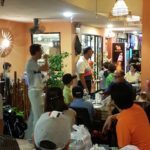 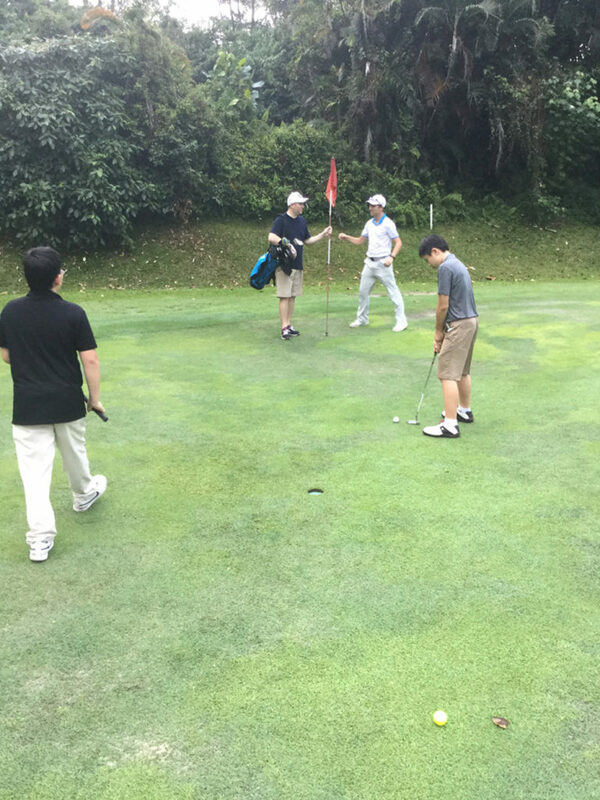 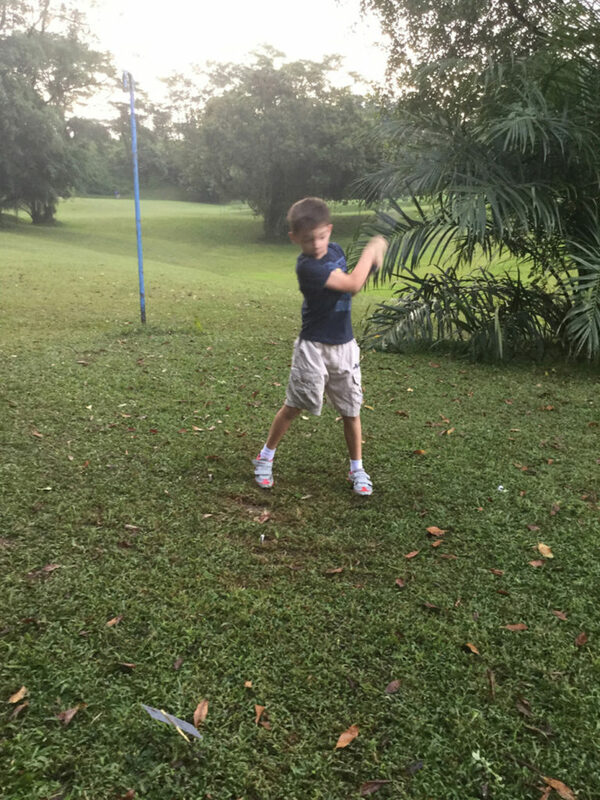 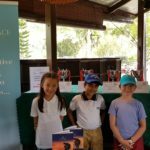 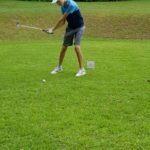 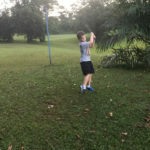 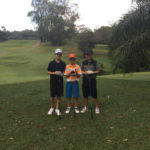 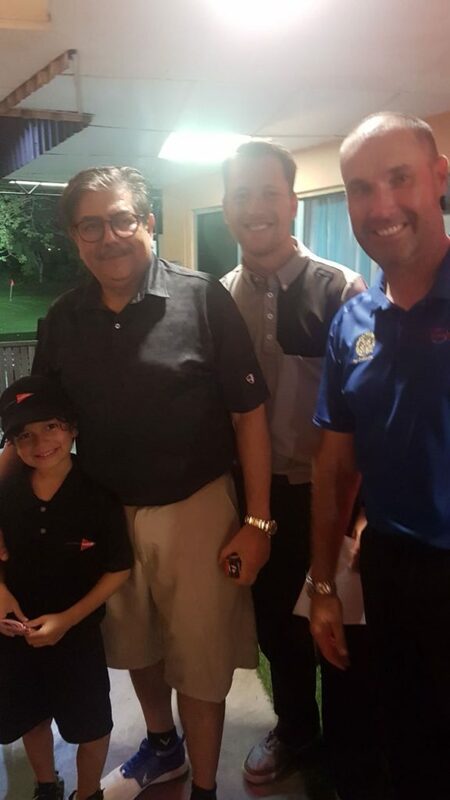 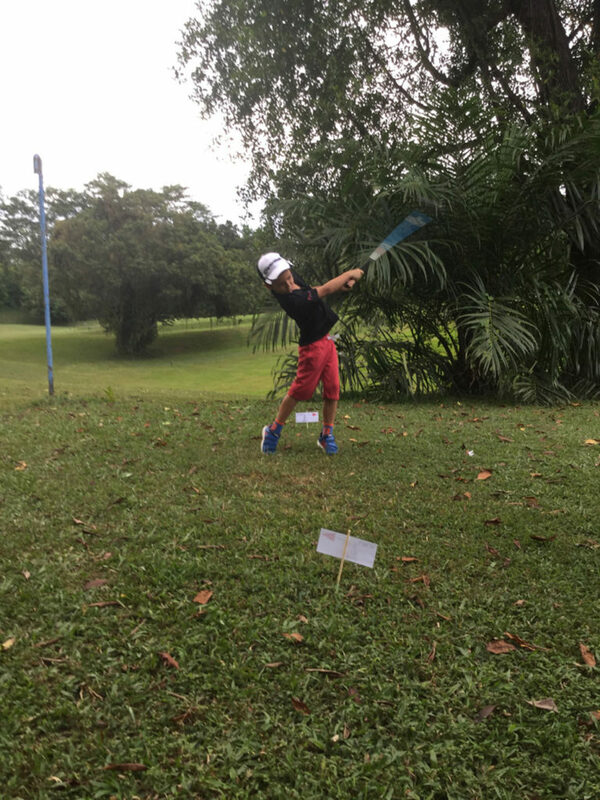 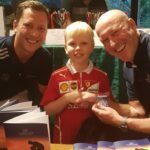 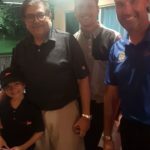 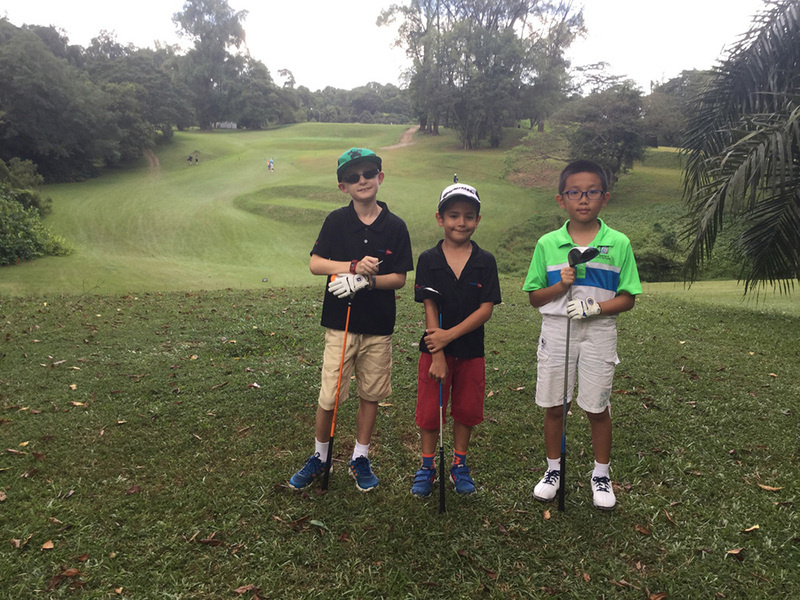 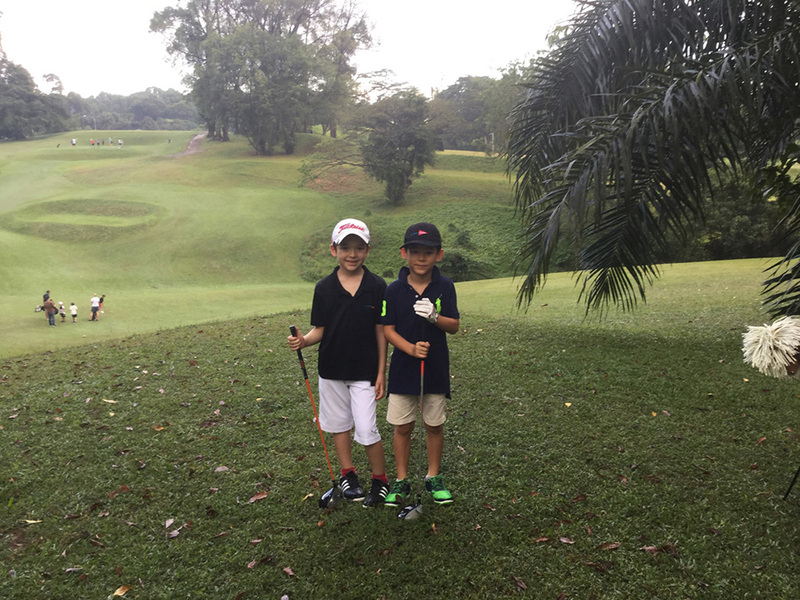 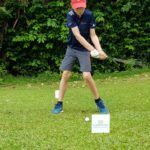 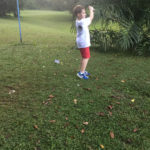 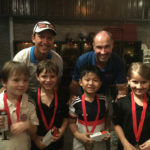 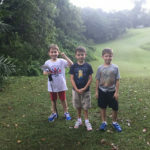 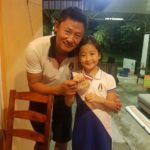 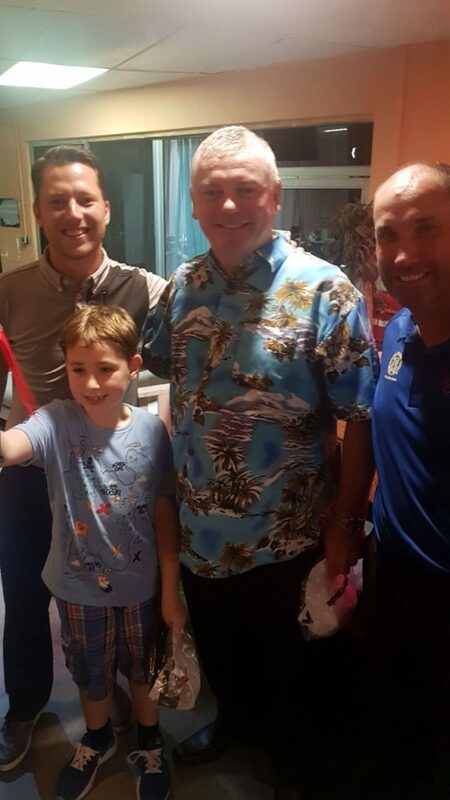 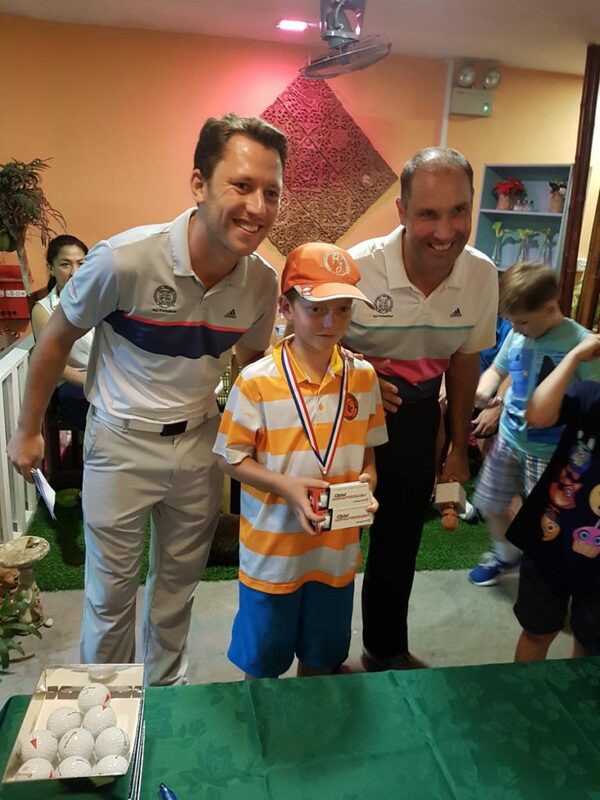 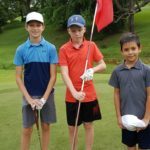 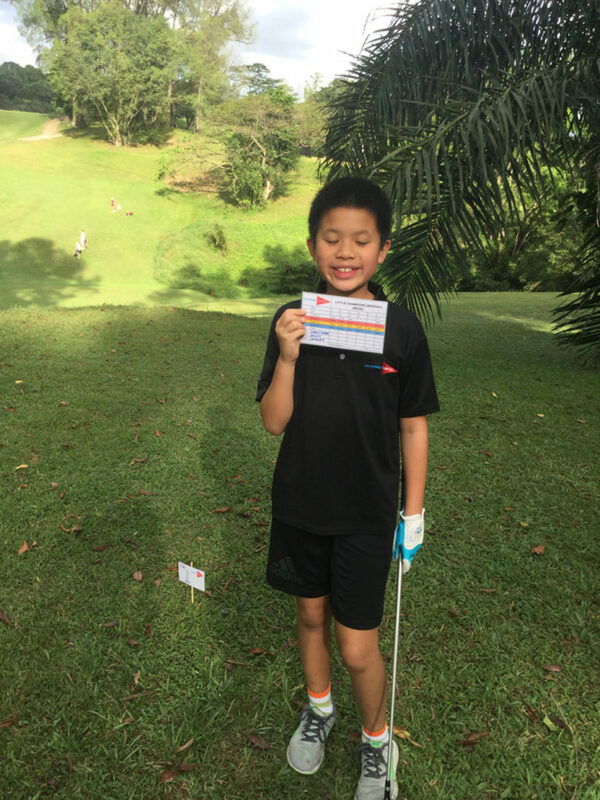 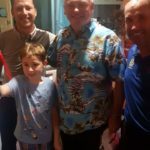 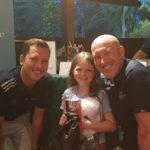 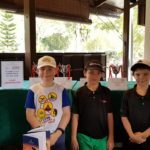 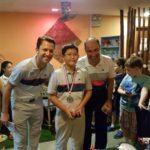 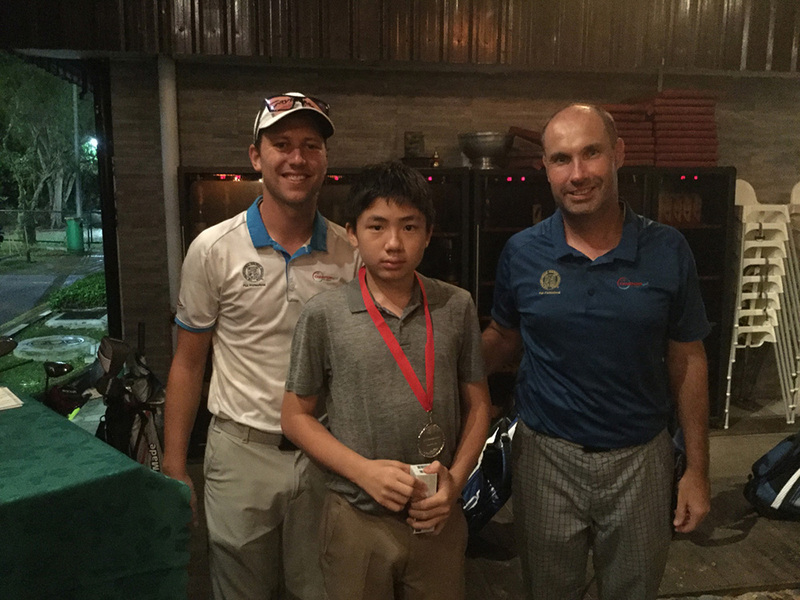 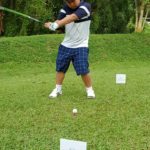 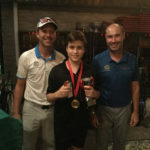 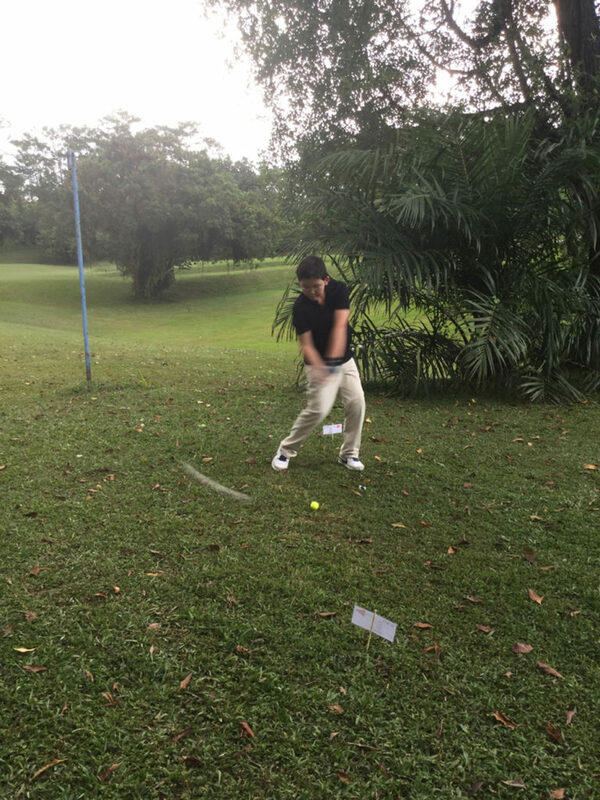 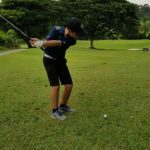 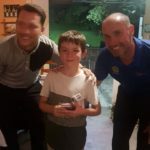 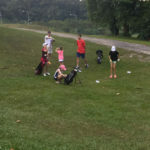 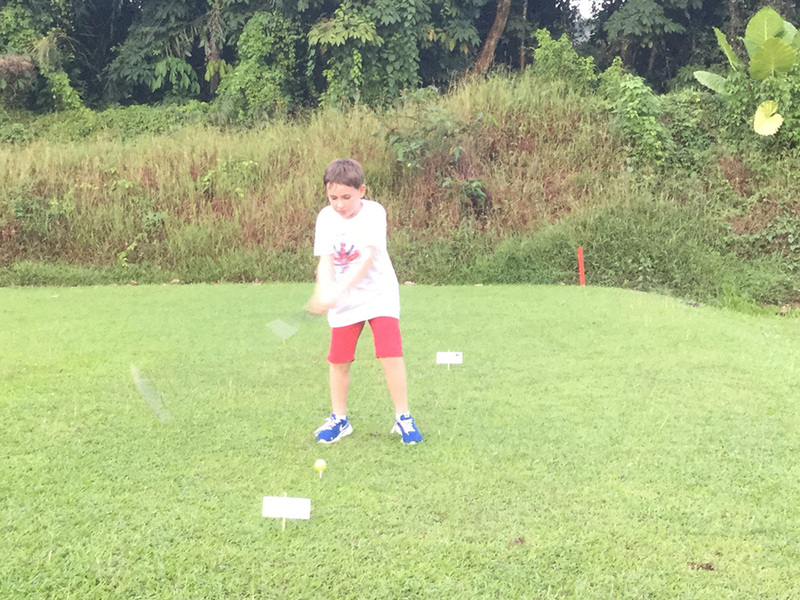 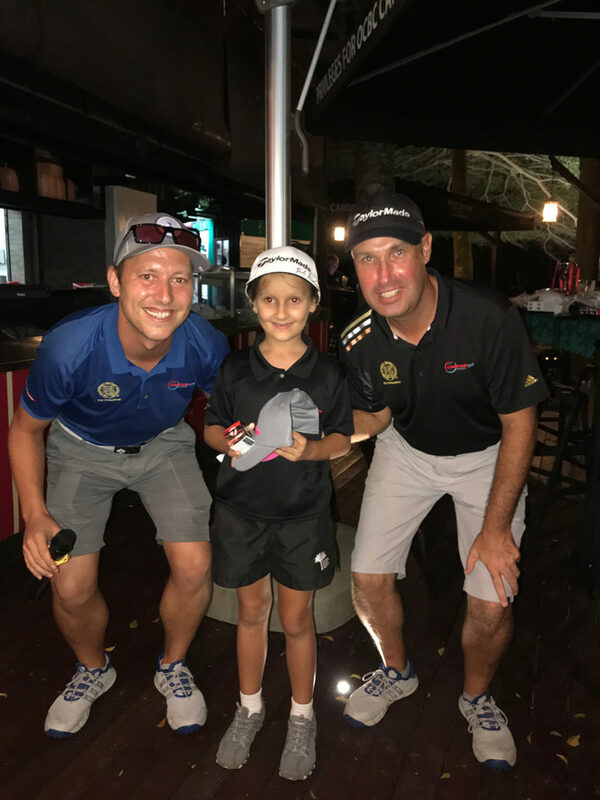 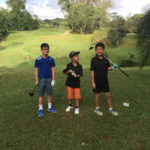 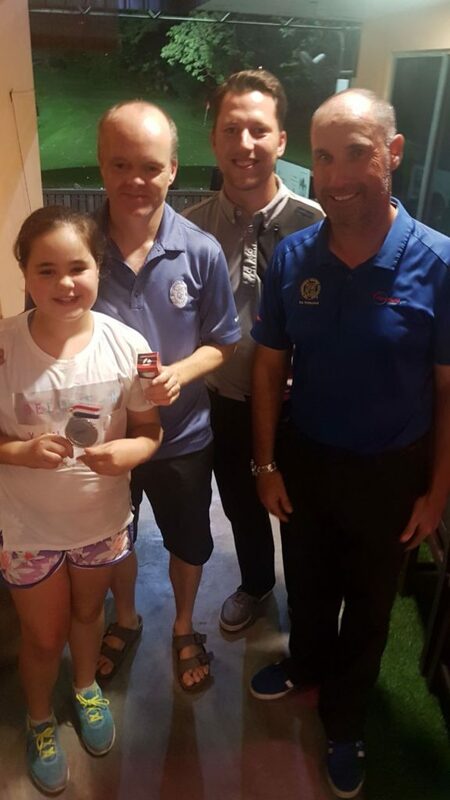 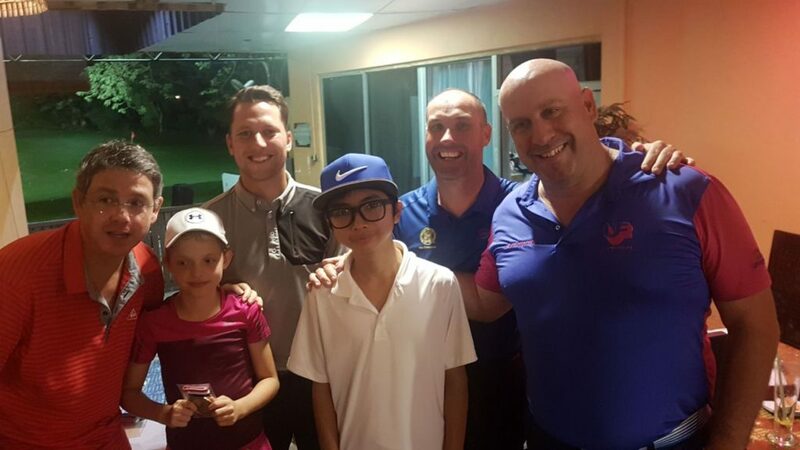 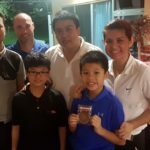 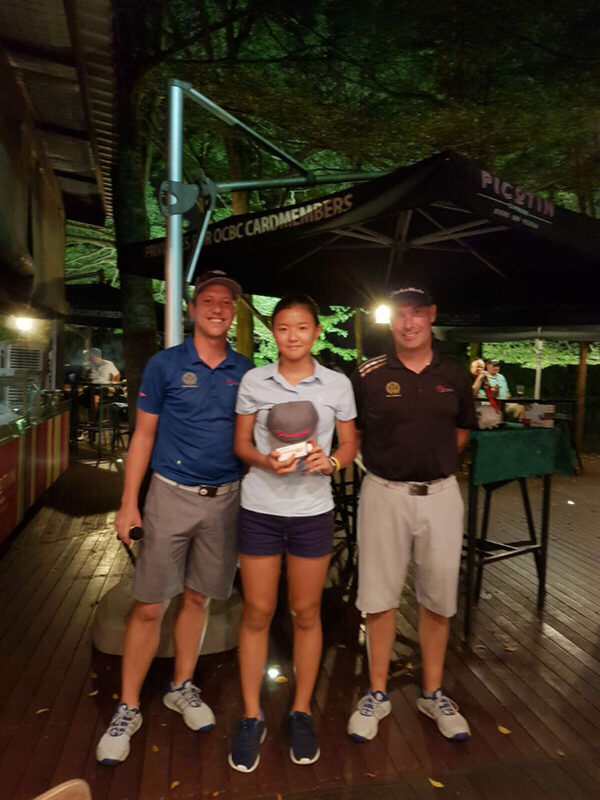 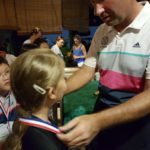 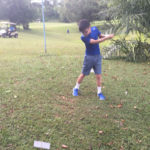 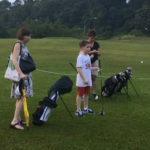 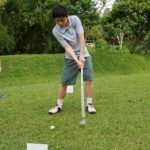 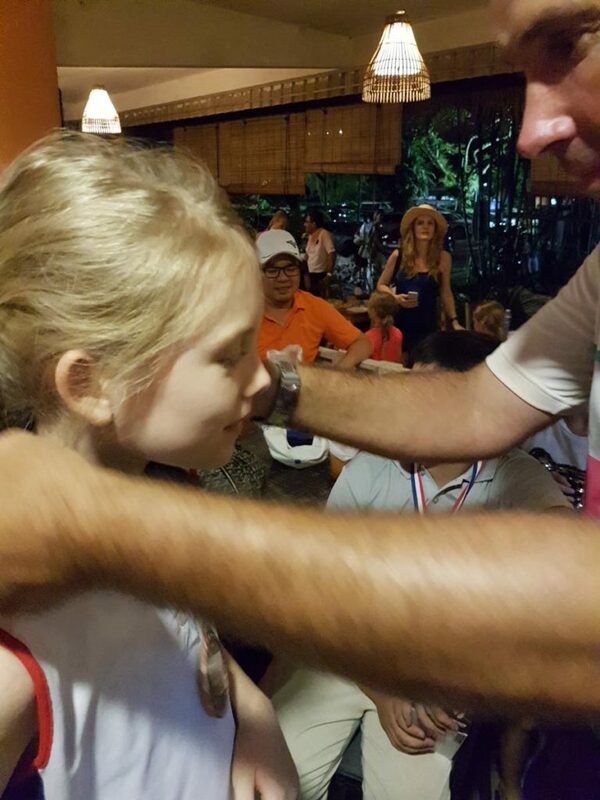 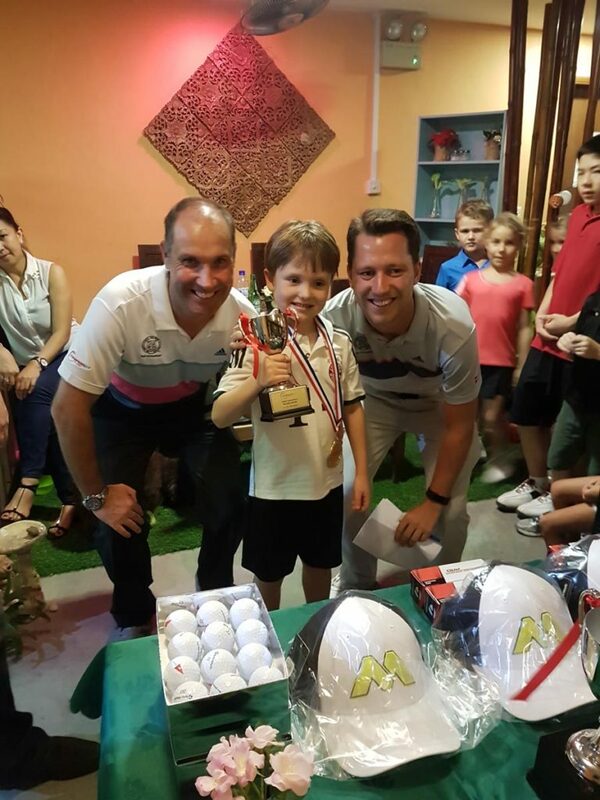 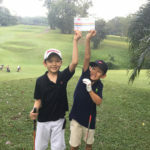 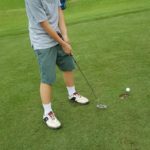 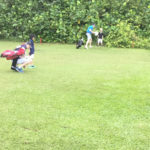 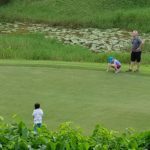 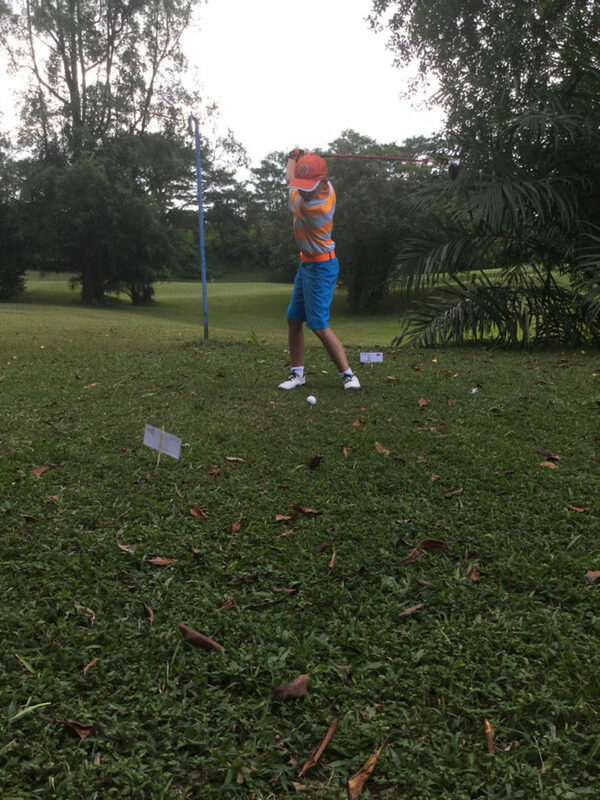 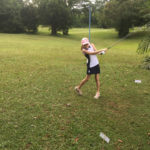 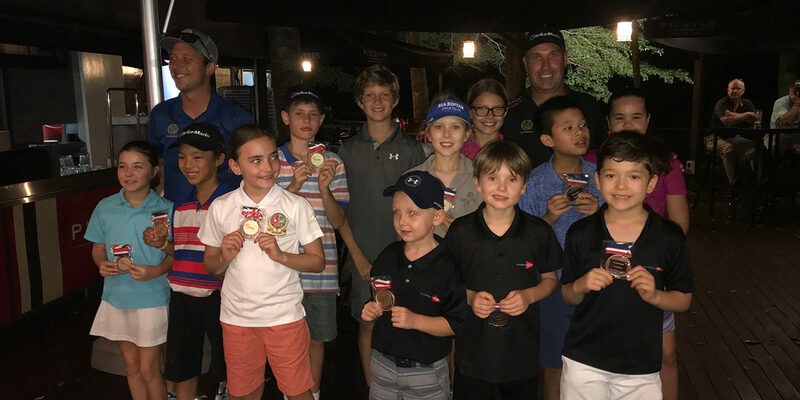 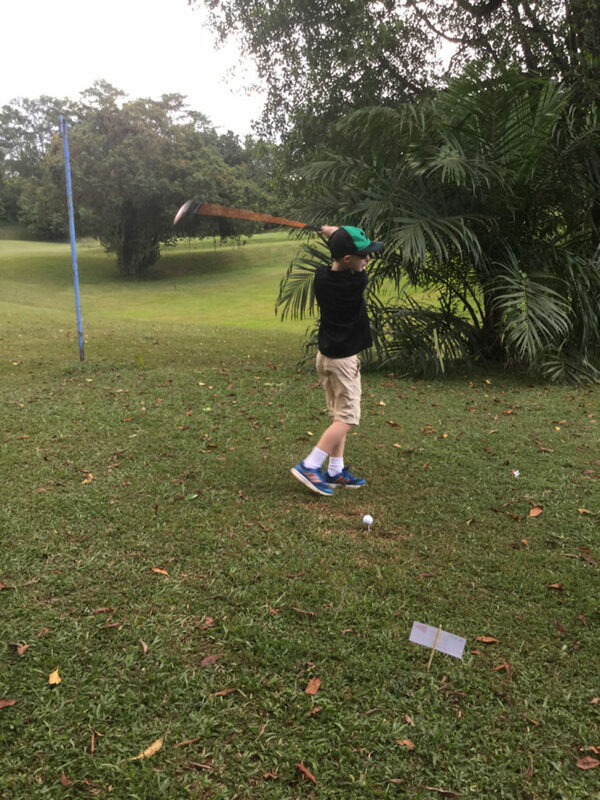 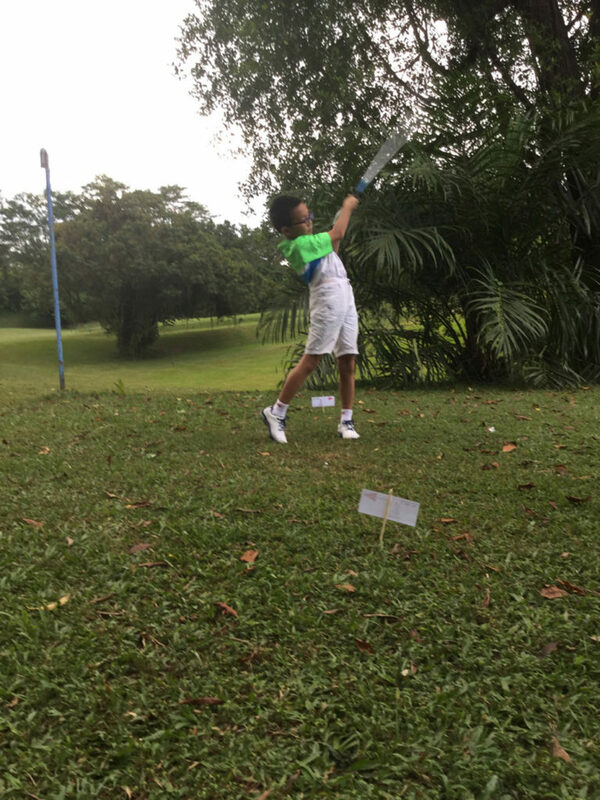 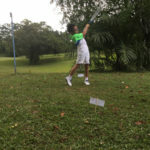 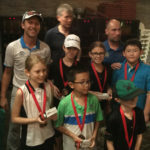 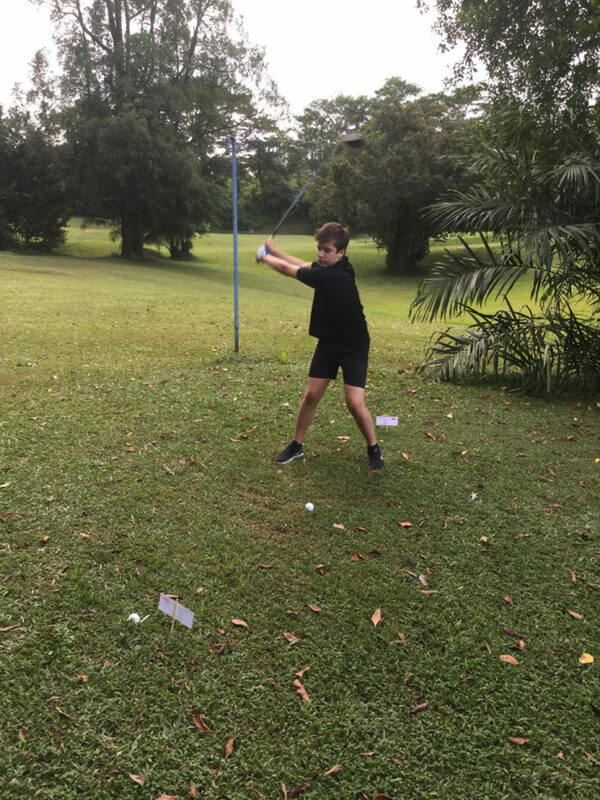 Our 2 PGA Professionals; Simon Lloyd and Eddy Rawlings took 26 kids from the Junior Golf Passport Program at Champions to the SMBC Singapore Open at Sentosa. 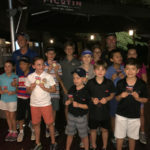 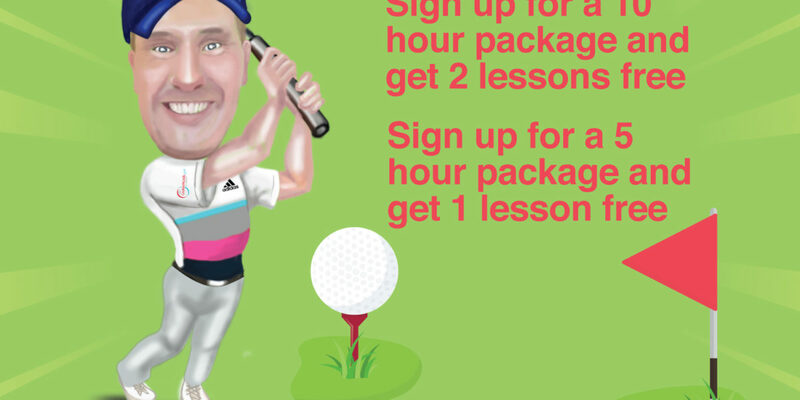 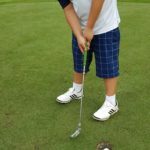 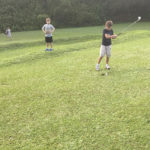 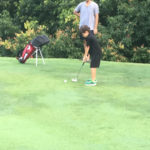 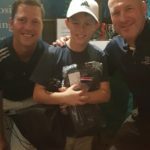 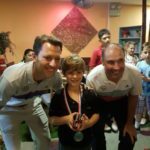 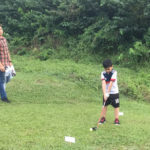 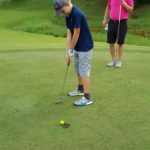 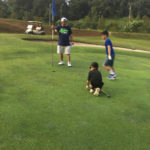 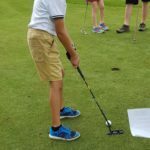 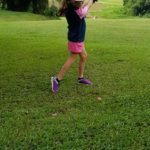 There was a putting challenge at the tented village that the kids loved and they all won some prizes and had a great time. 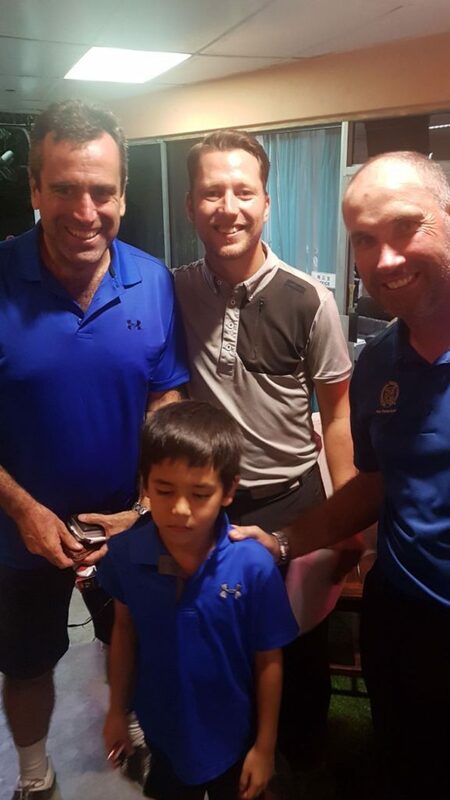 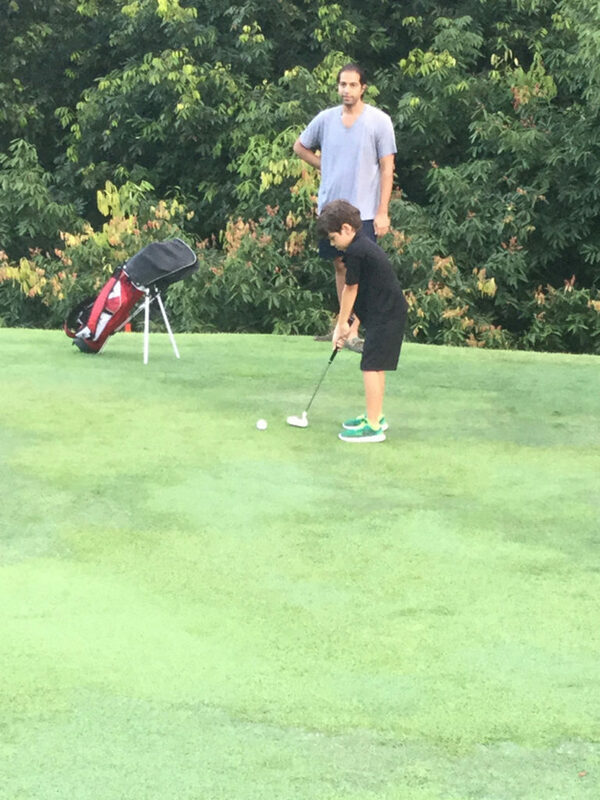 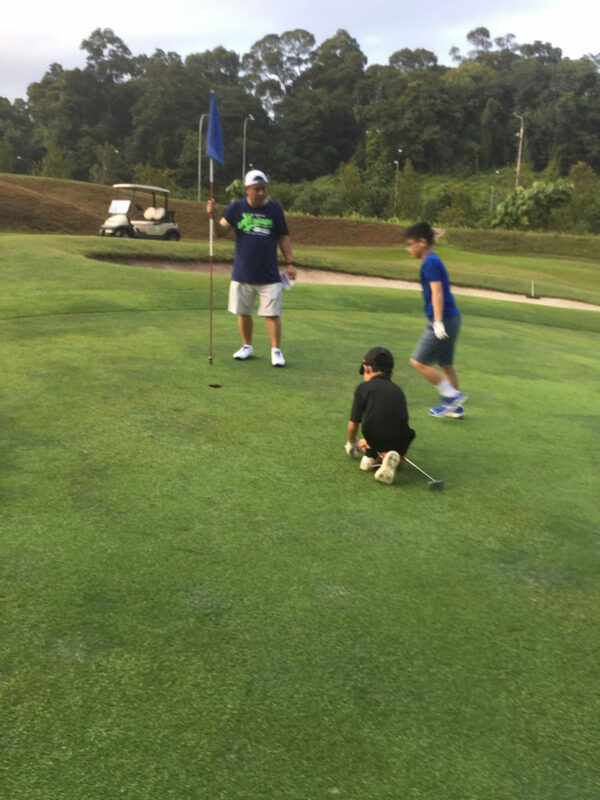 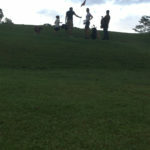 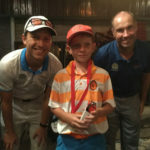 The highlight was when they got to meet Sergio Garcia at the driving while he was warming up before his round. 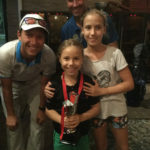 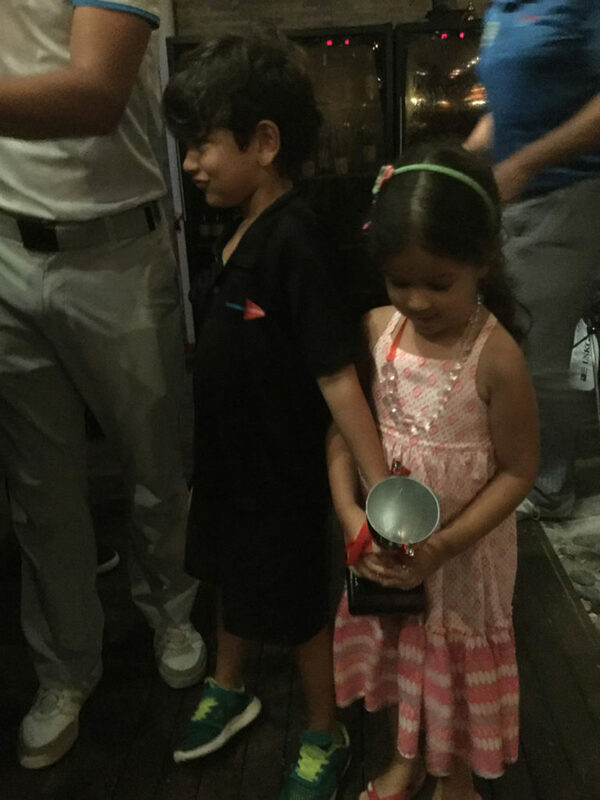 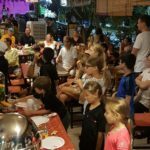 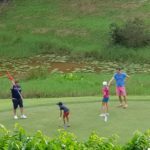 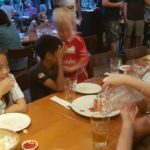 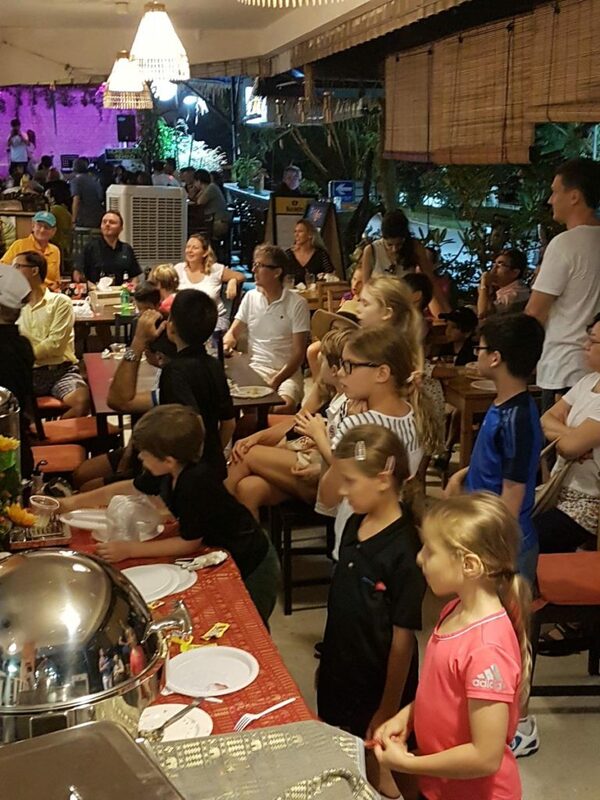 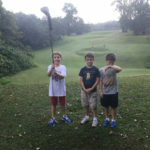 A couple of the kids, Henry and Tessa De Rahm even managed to get themselves on TV when they were interviewed by a reporter from the Asian Tour. 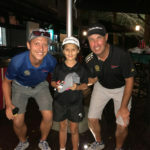 Overall it was a great experience for the kids and they all got a hat full of autographs. 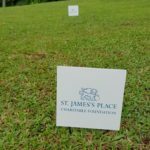 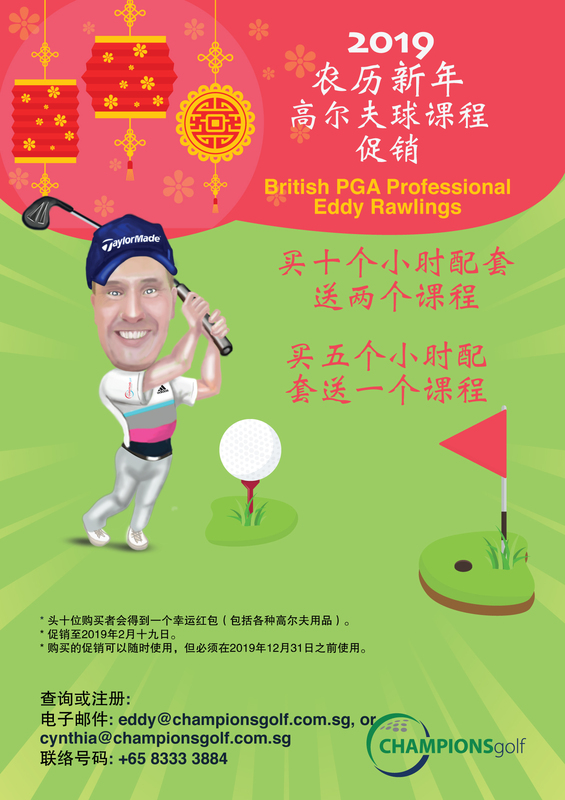 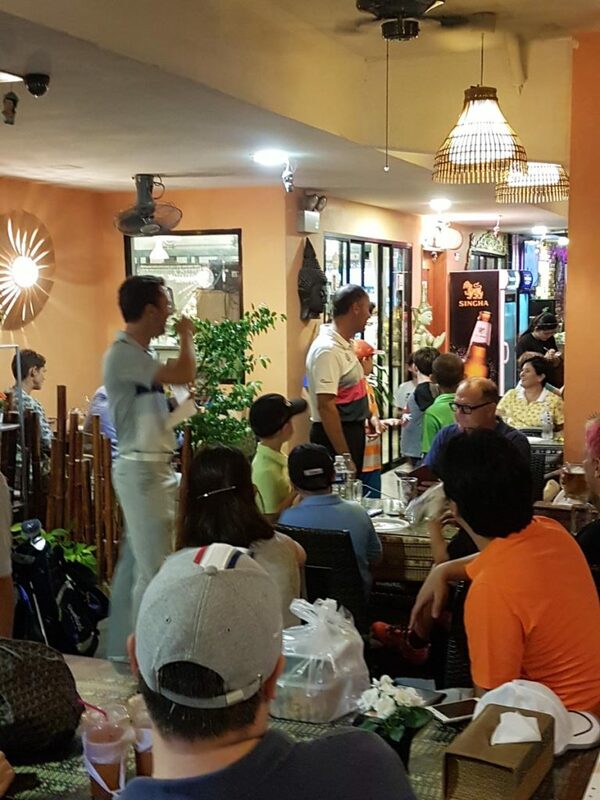 We hope to do the same for the Women’s HSBC Champions event at the start of March.